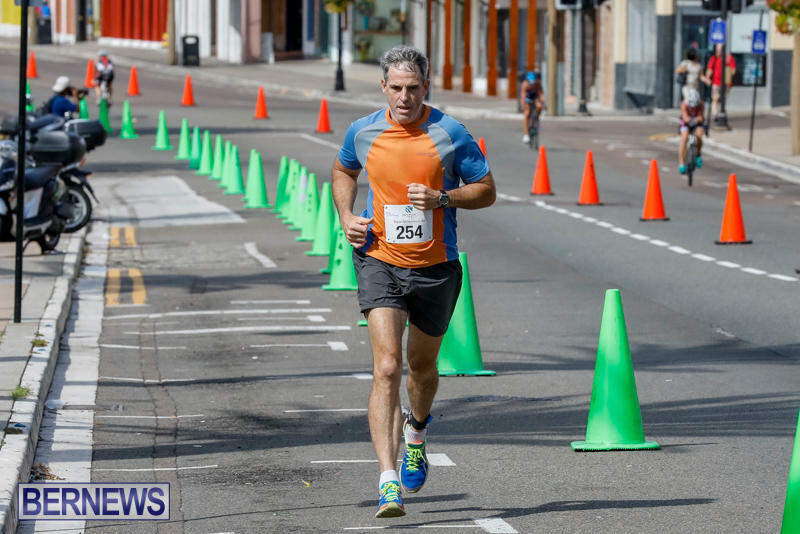 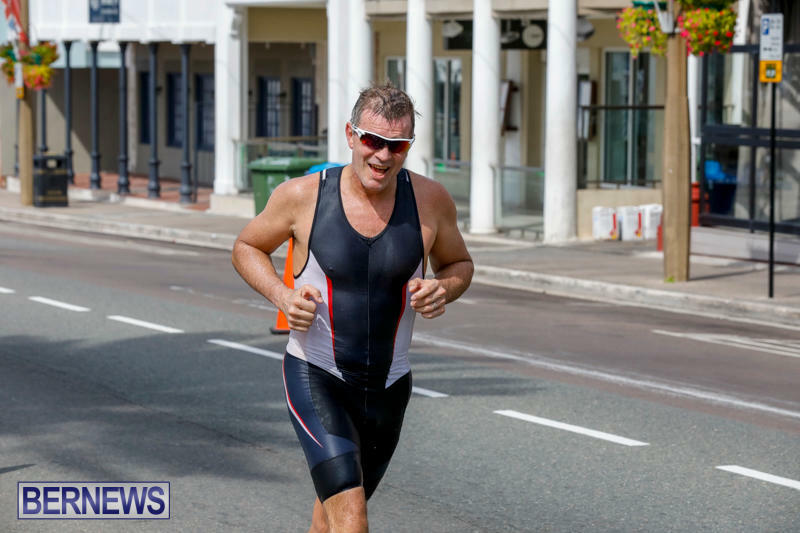 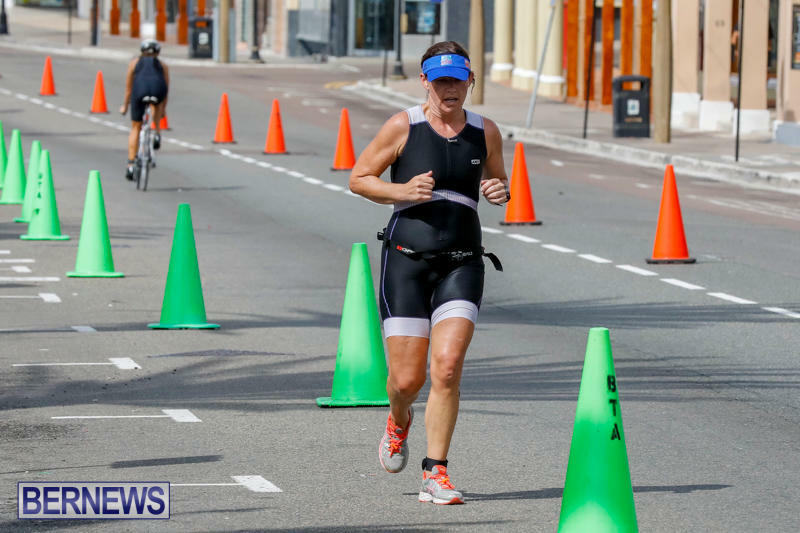 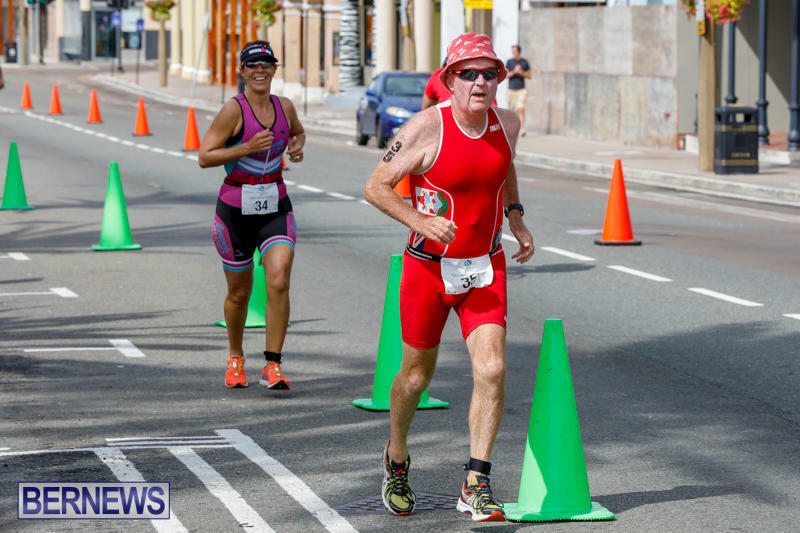 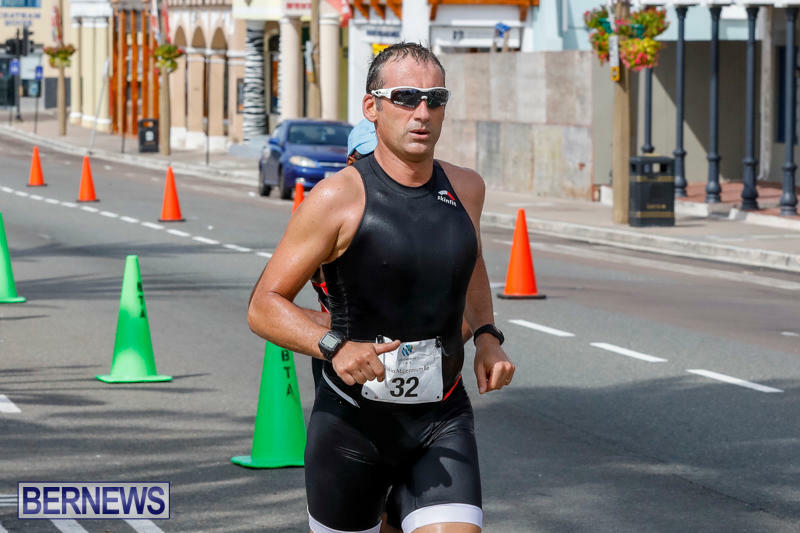 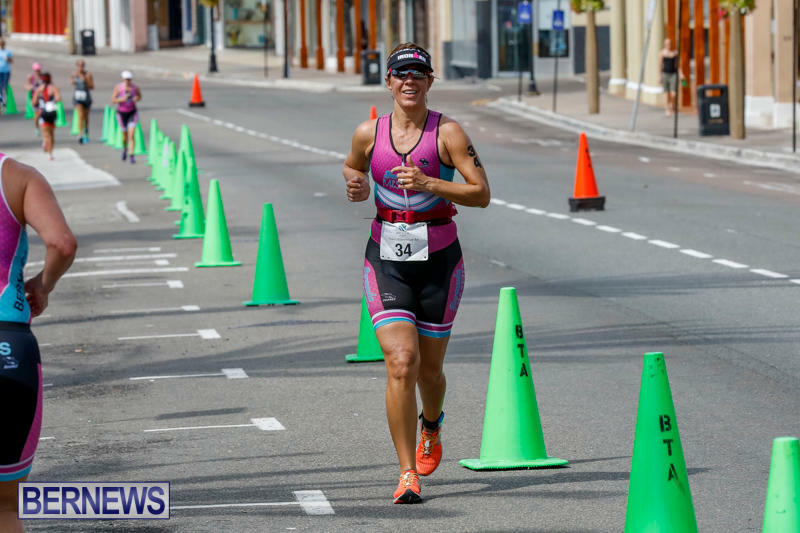 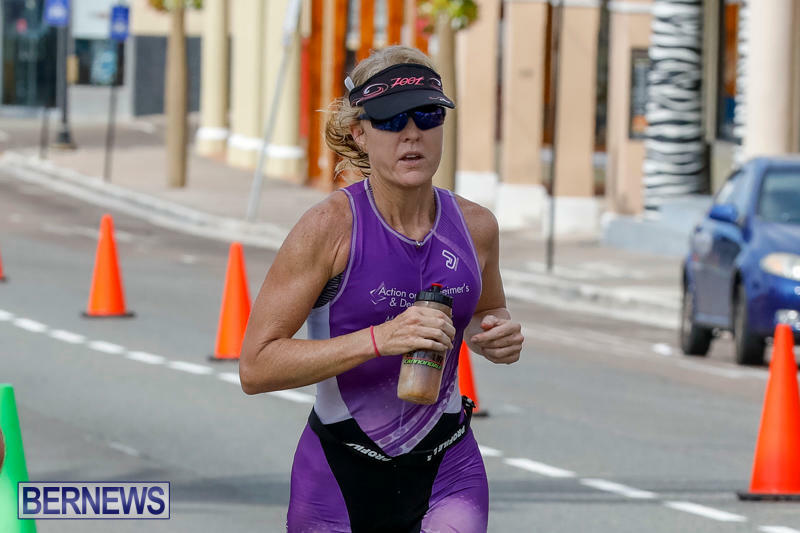 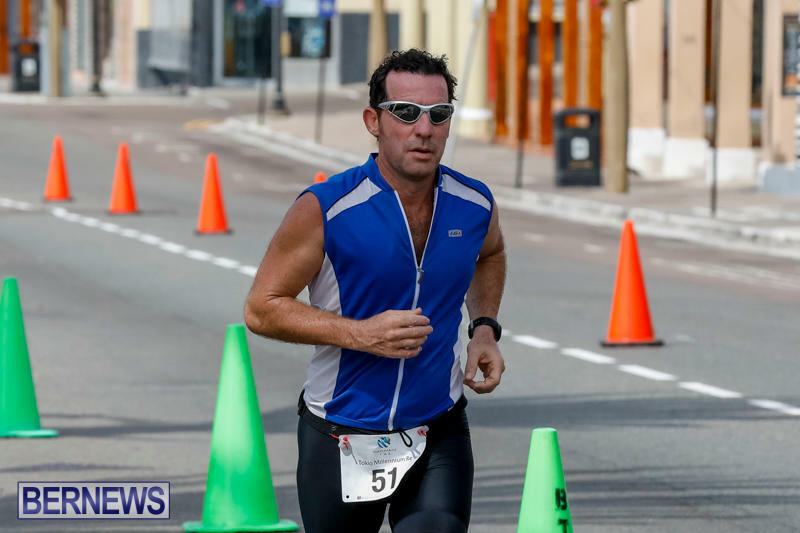 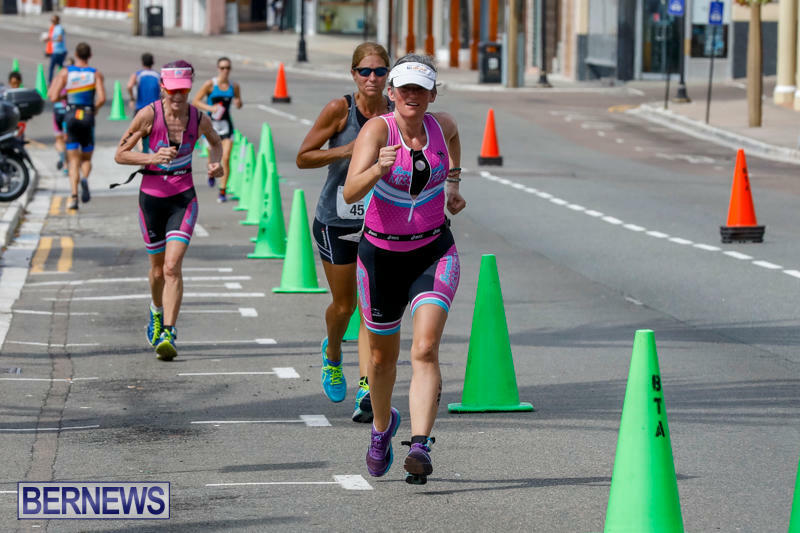 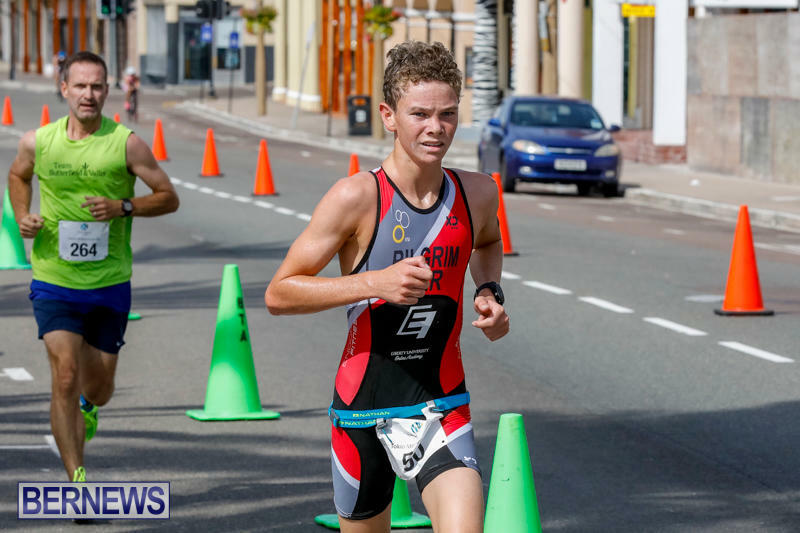 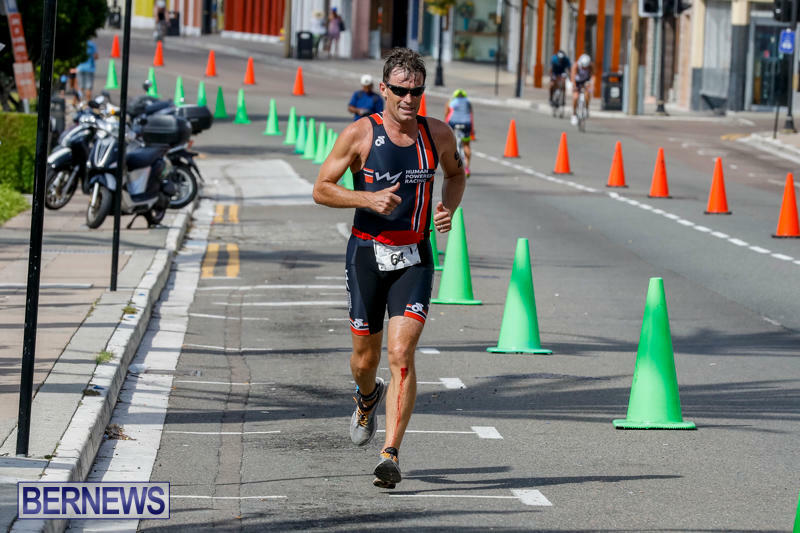 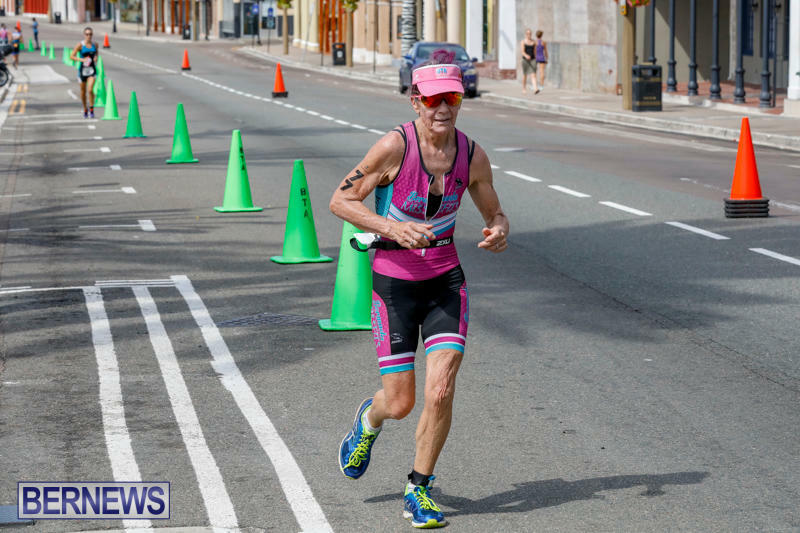 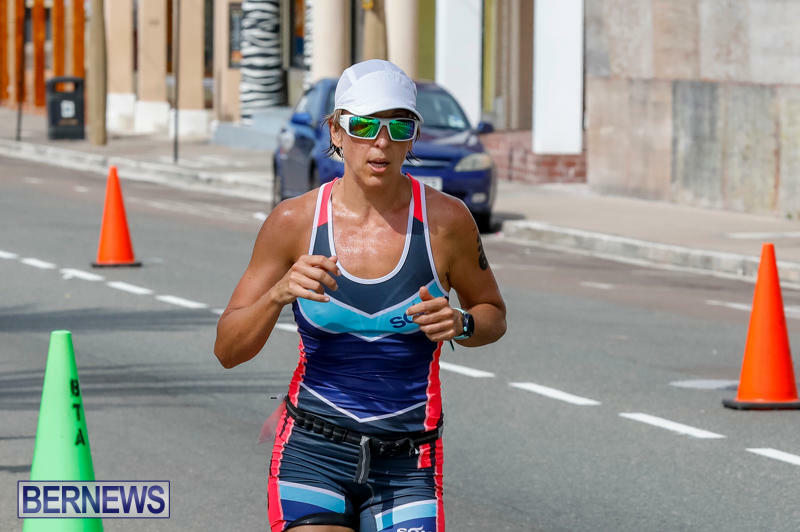 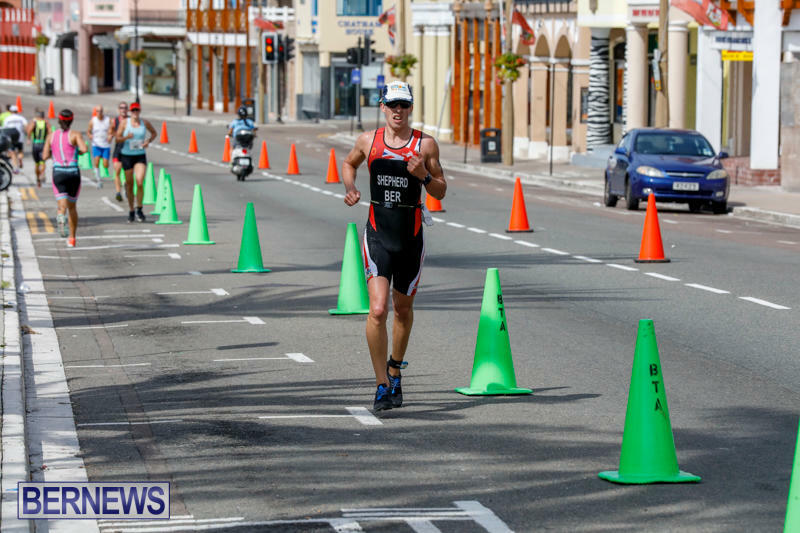 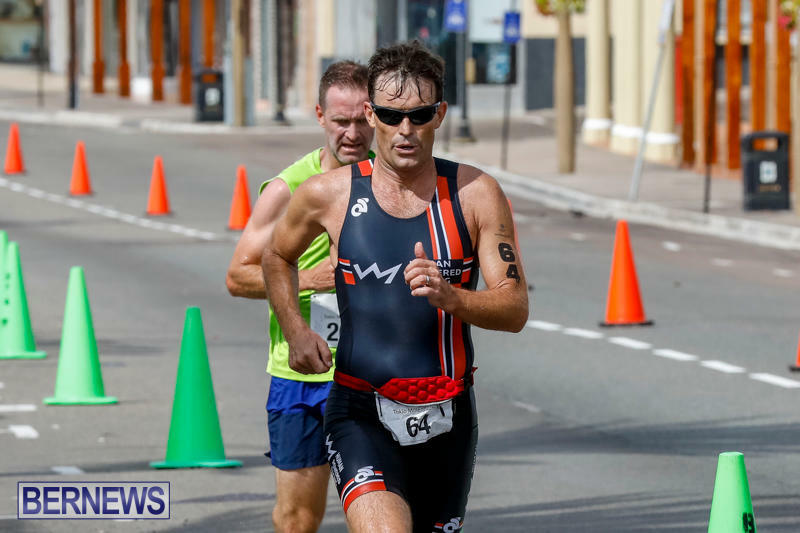 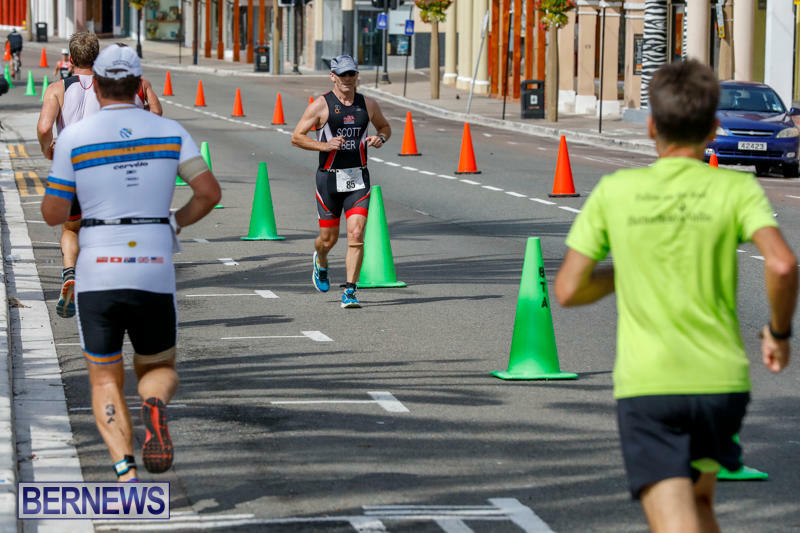 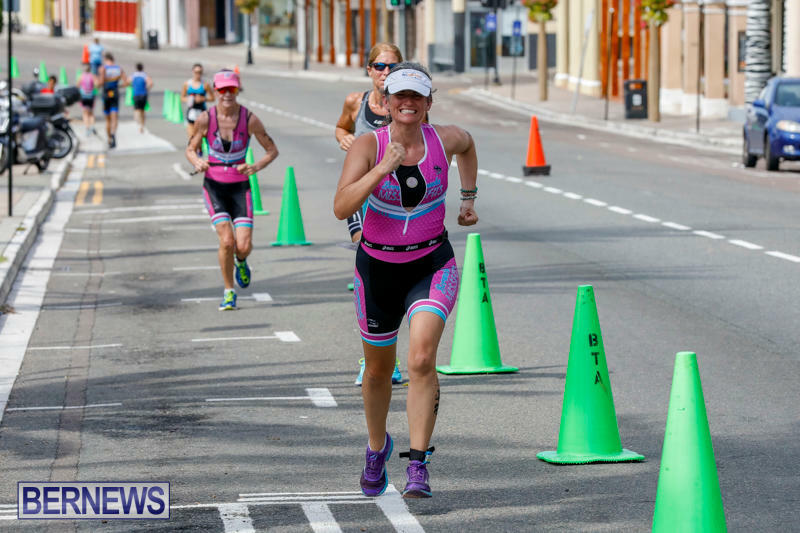 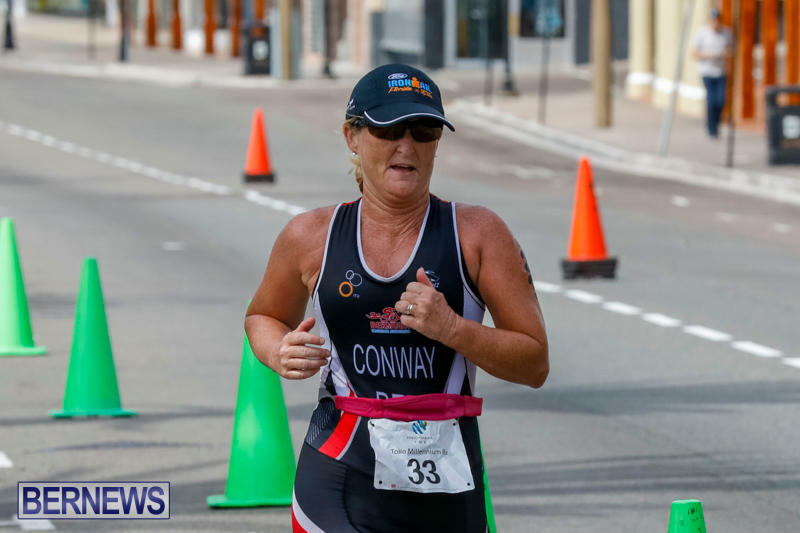 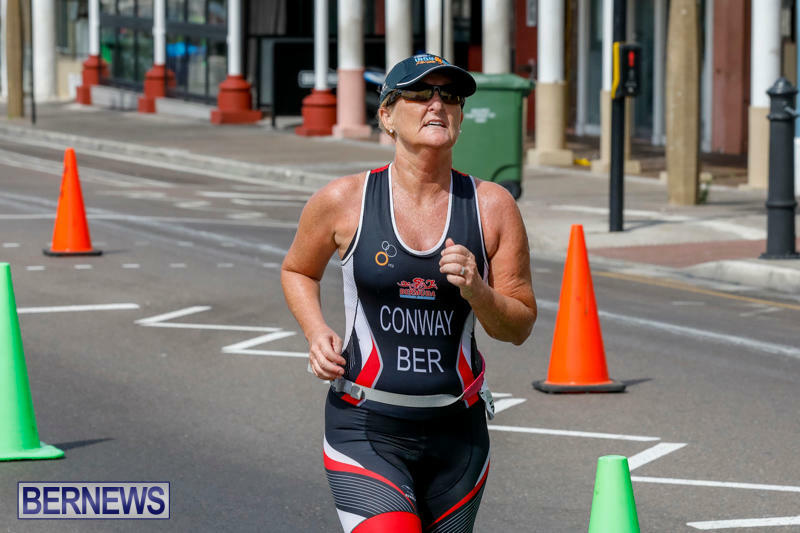 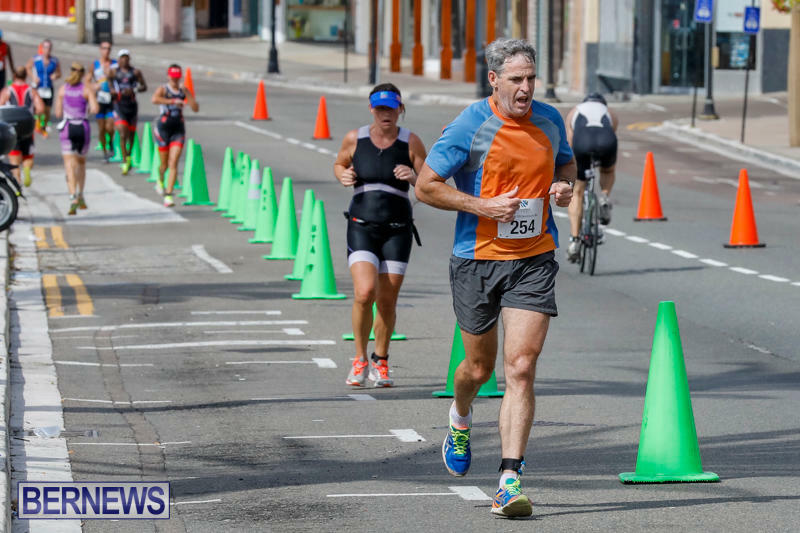 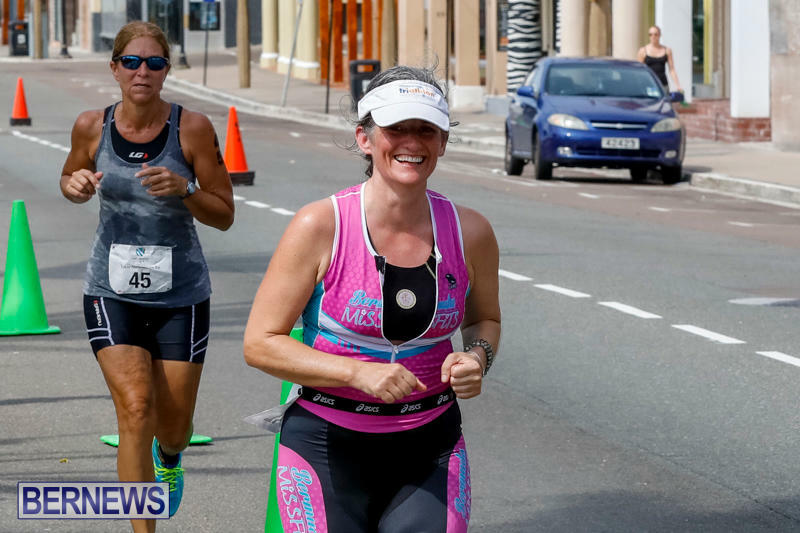 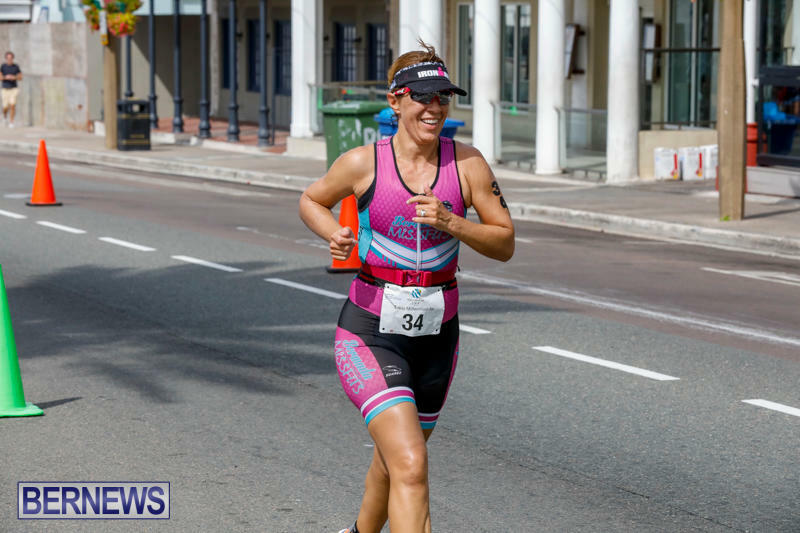 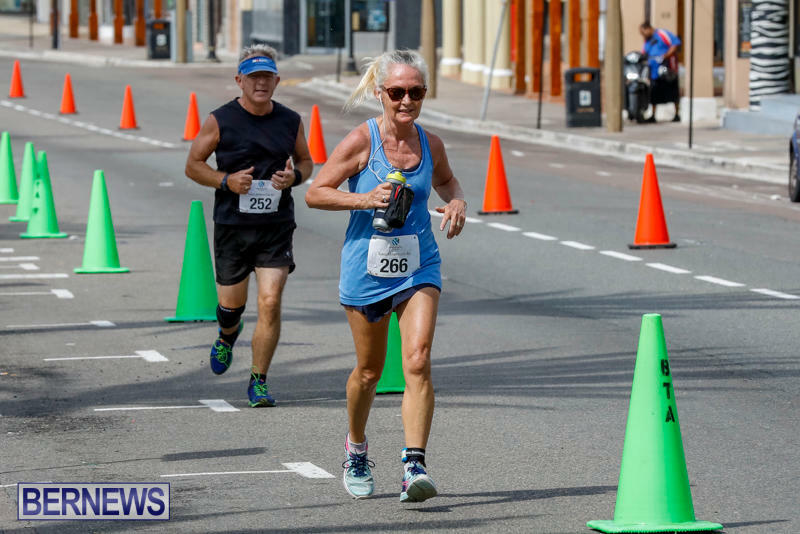 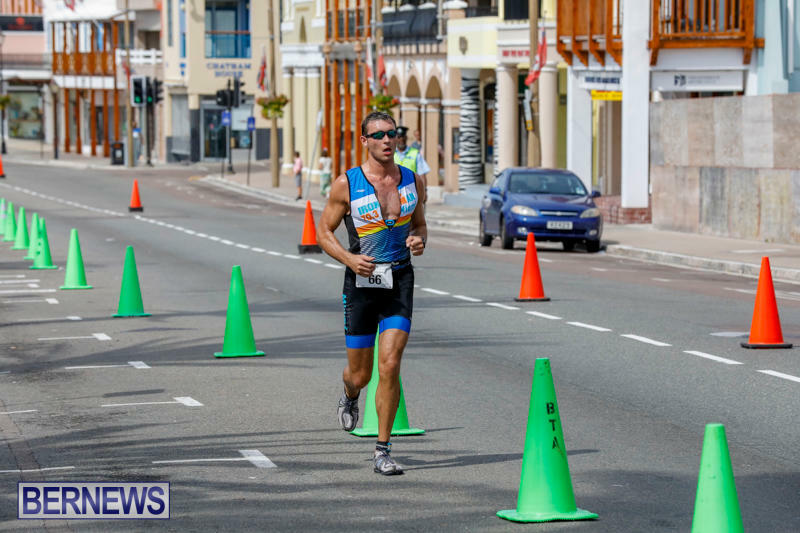 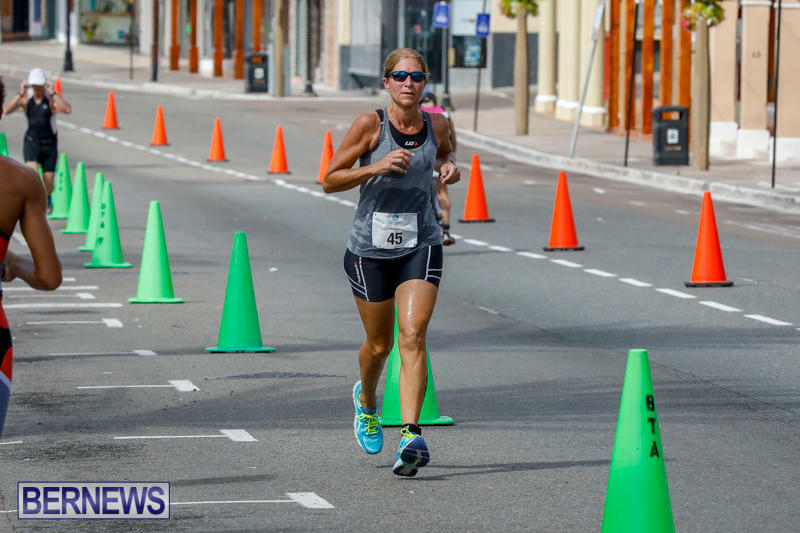 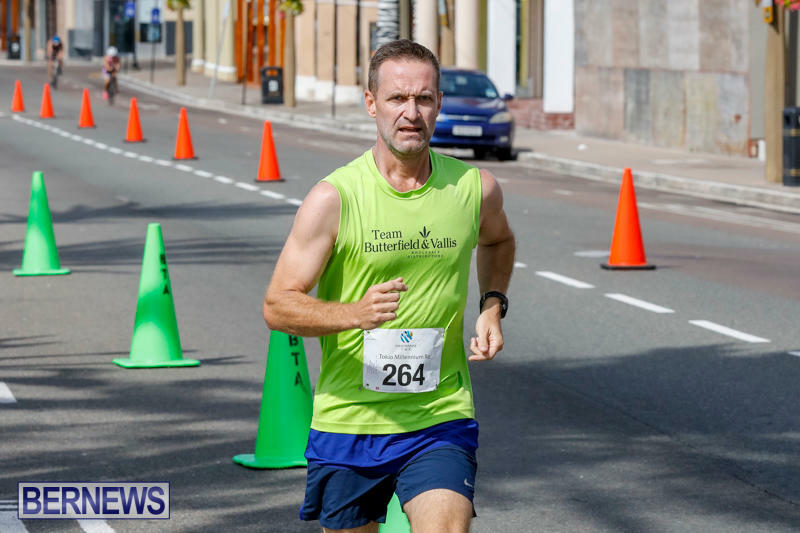 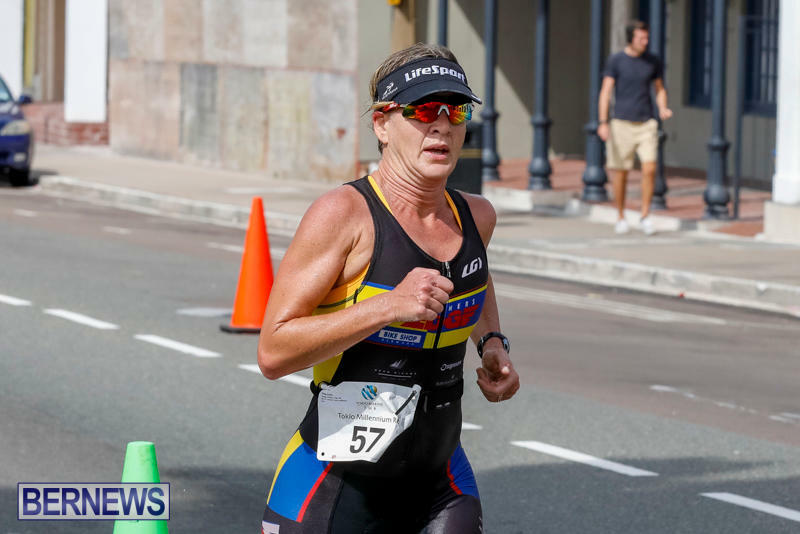 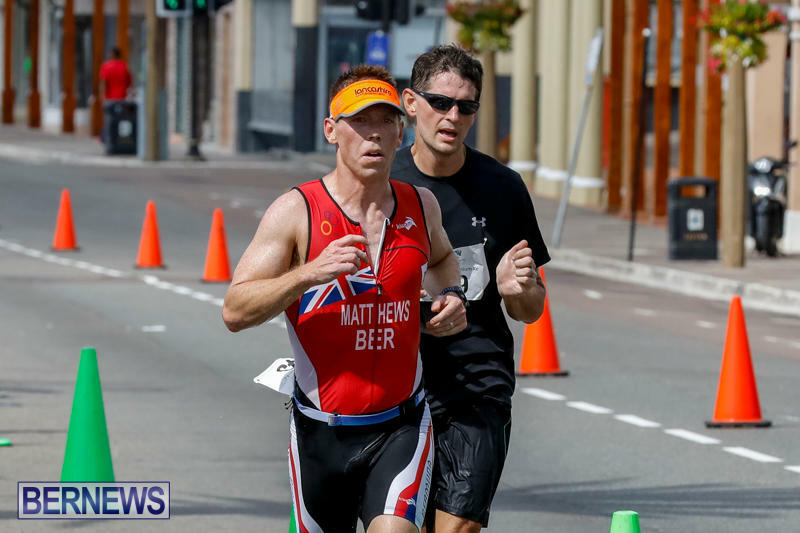 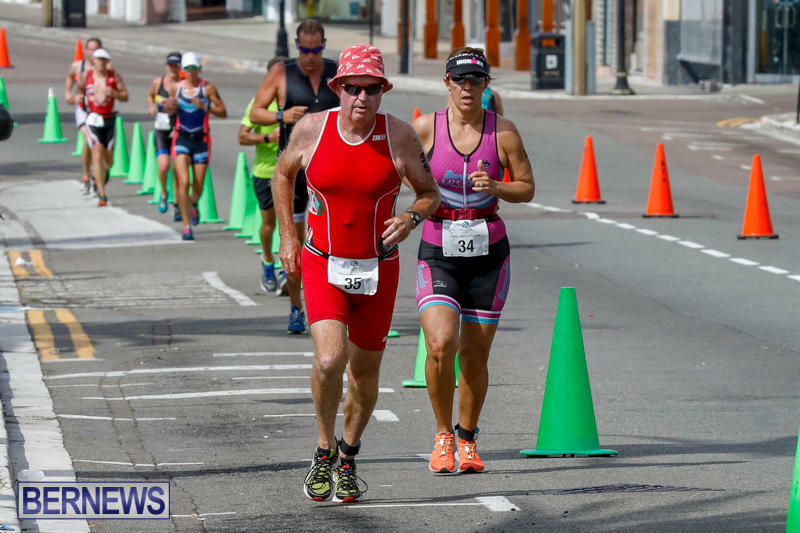 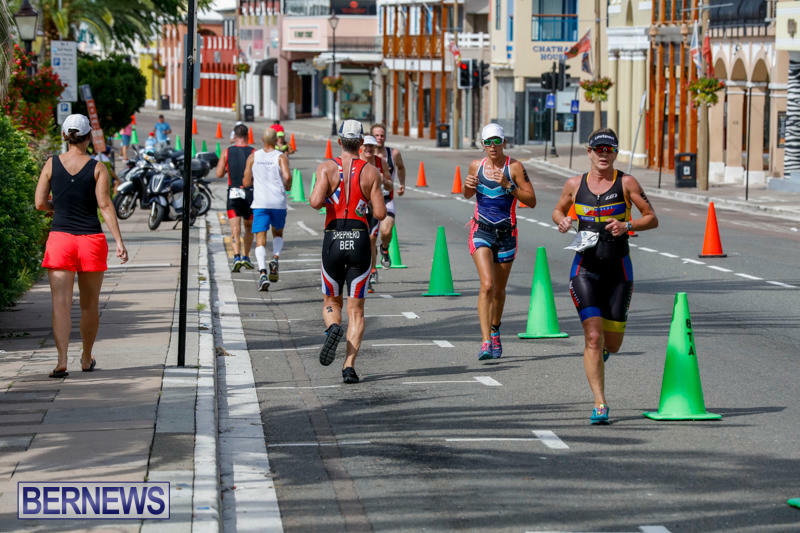 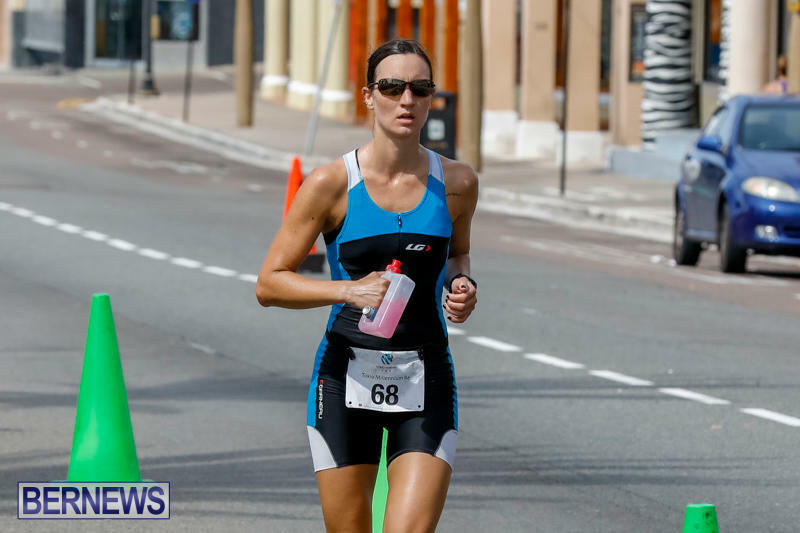 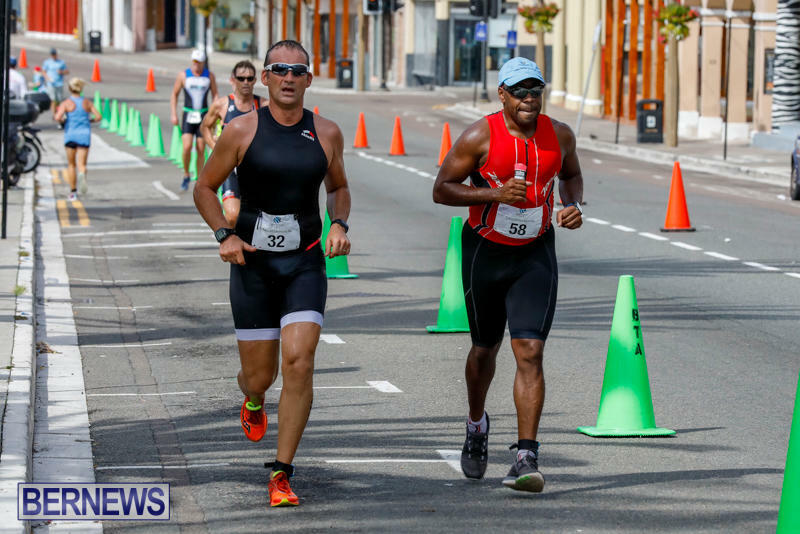 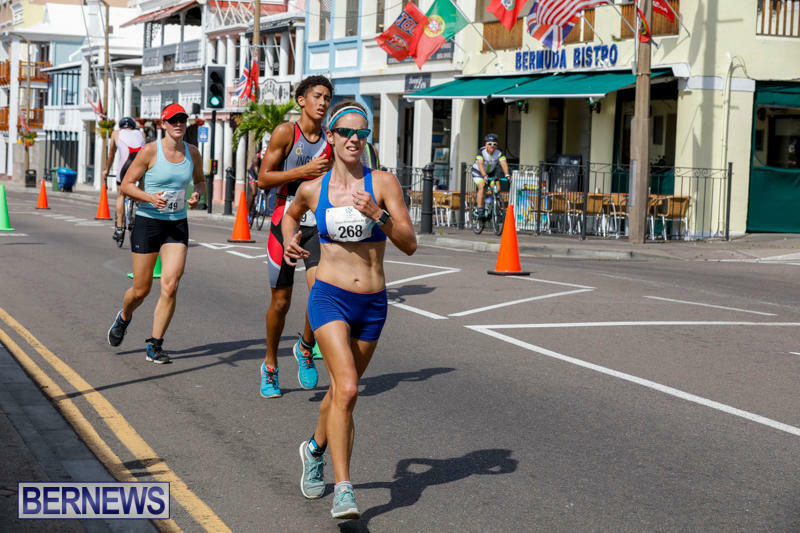 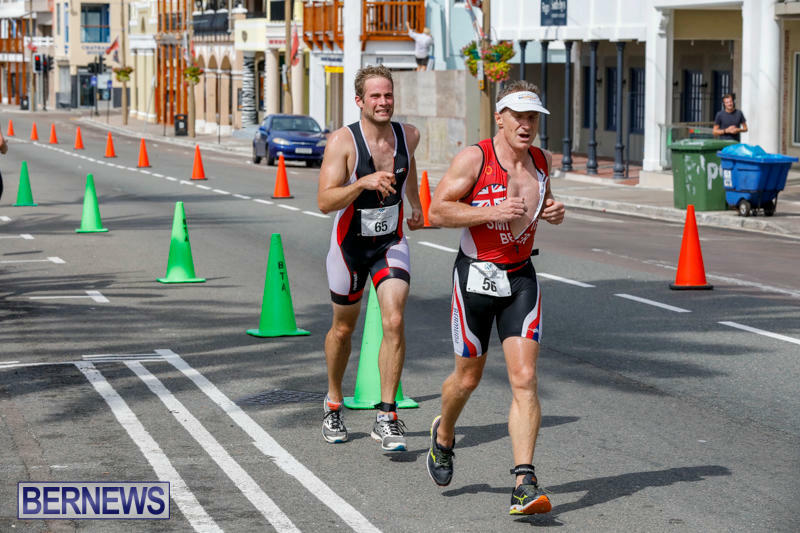 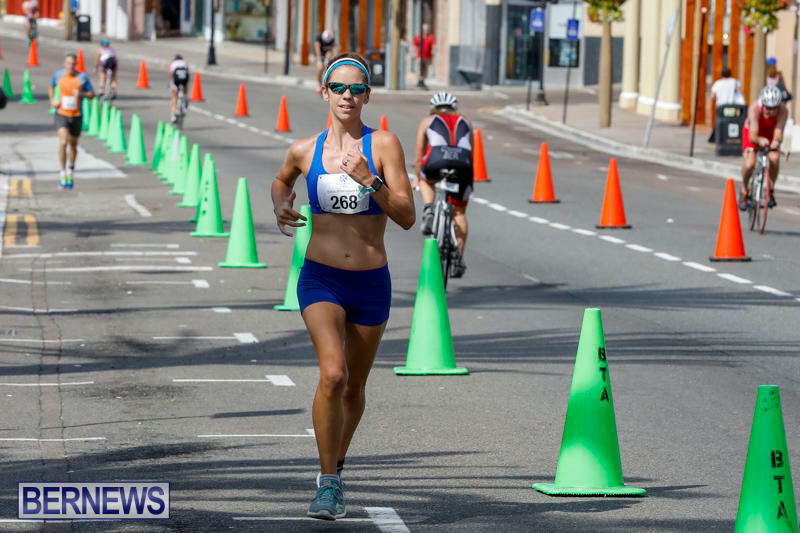 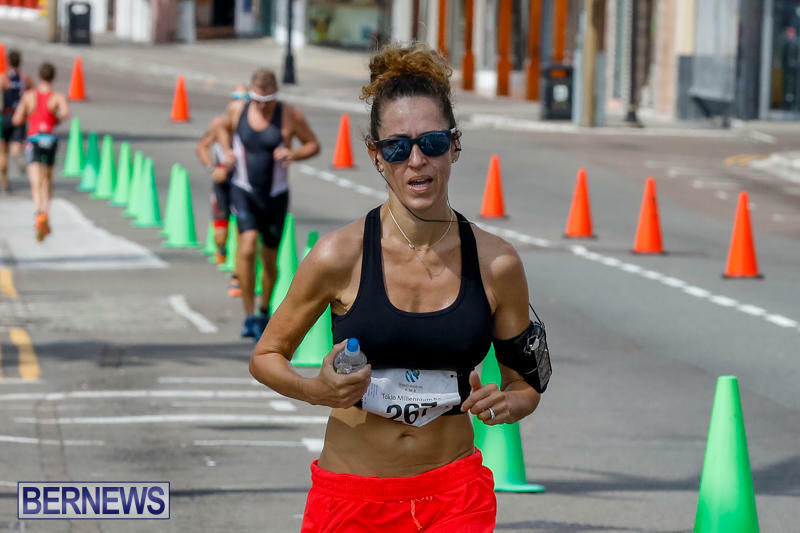 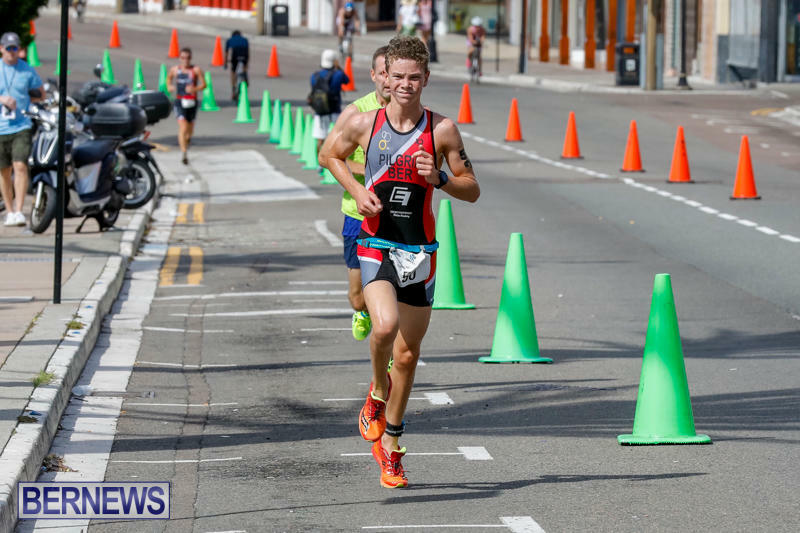 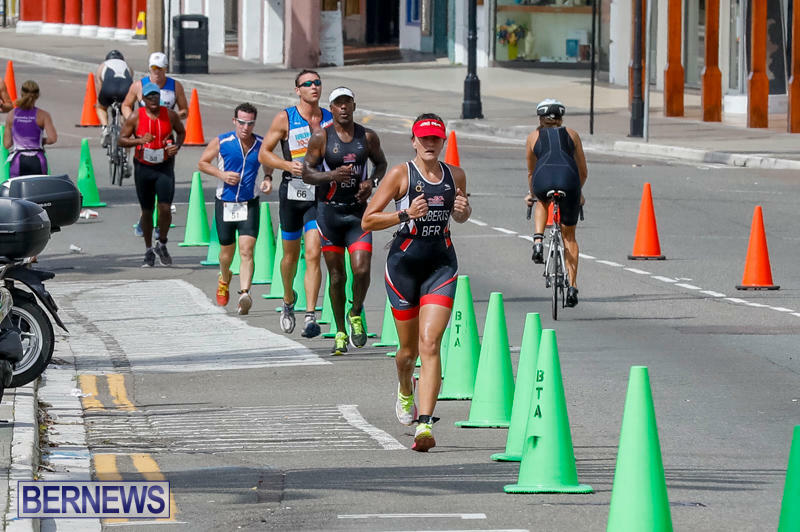 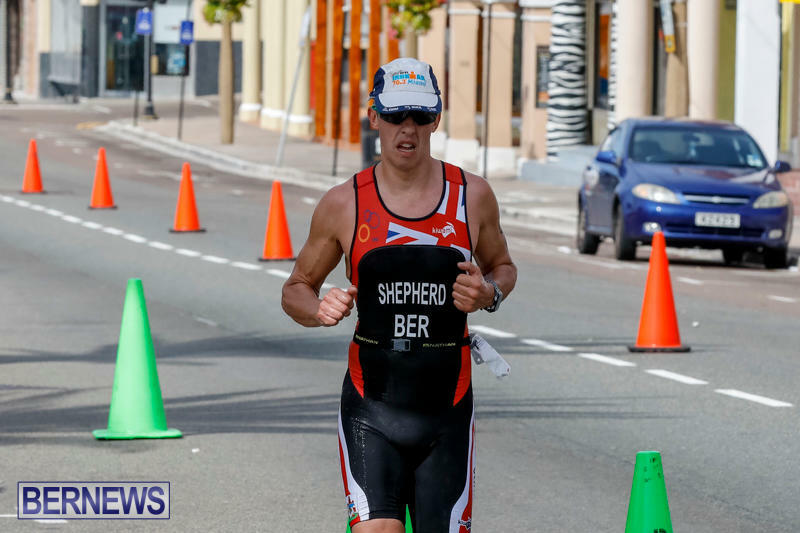 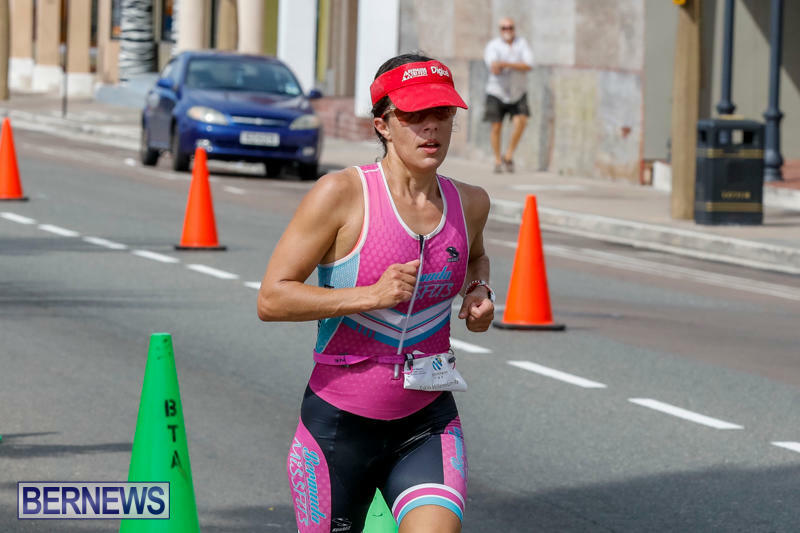 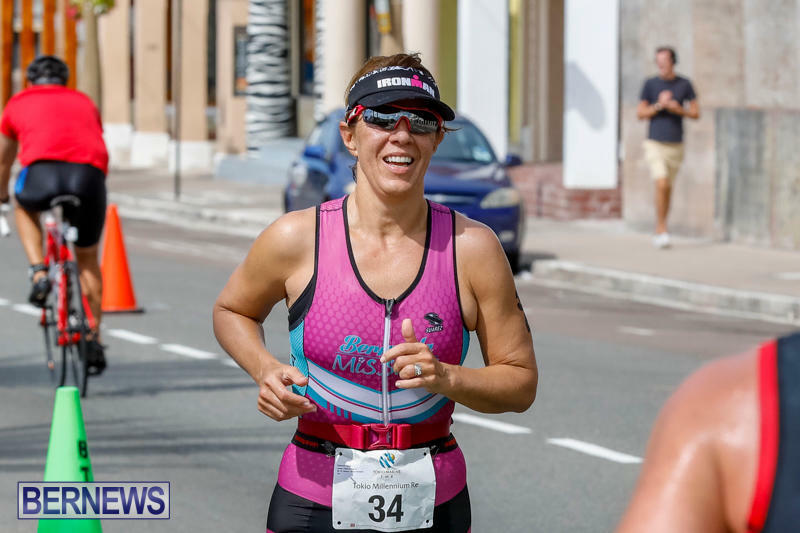 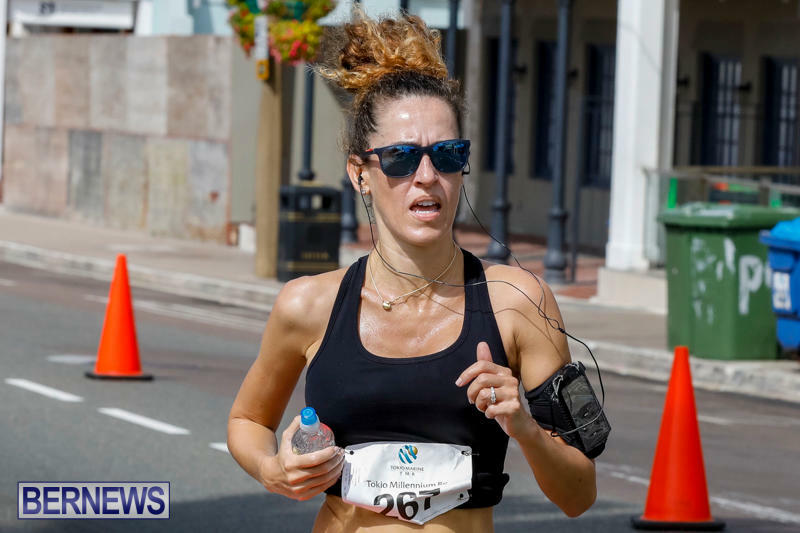 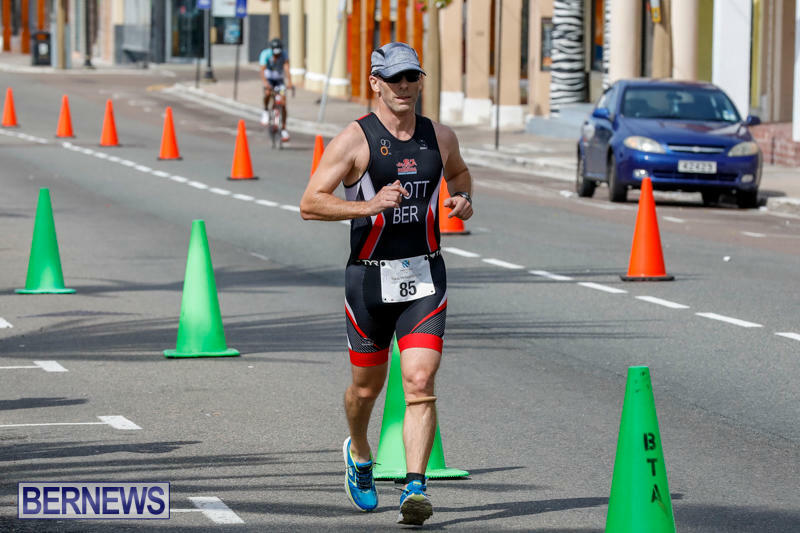 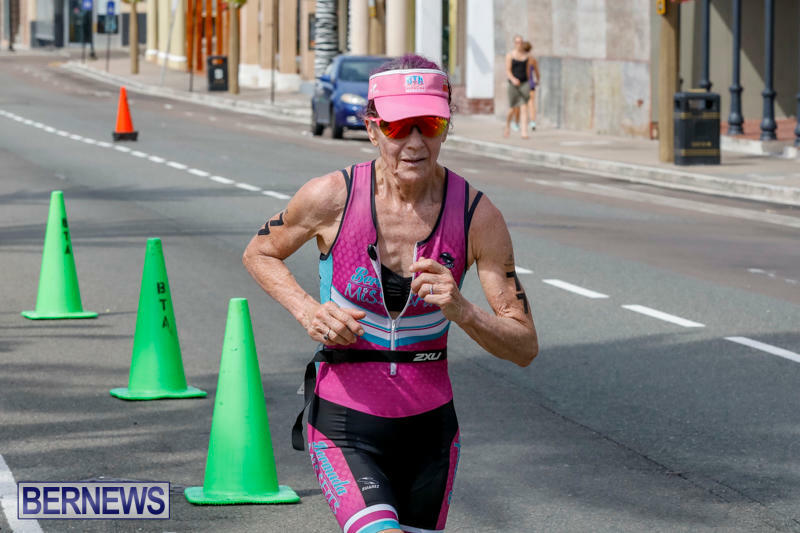 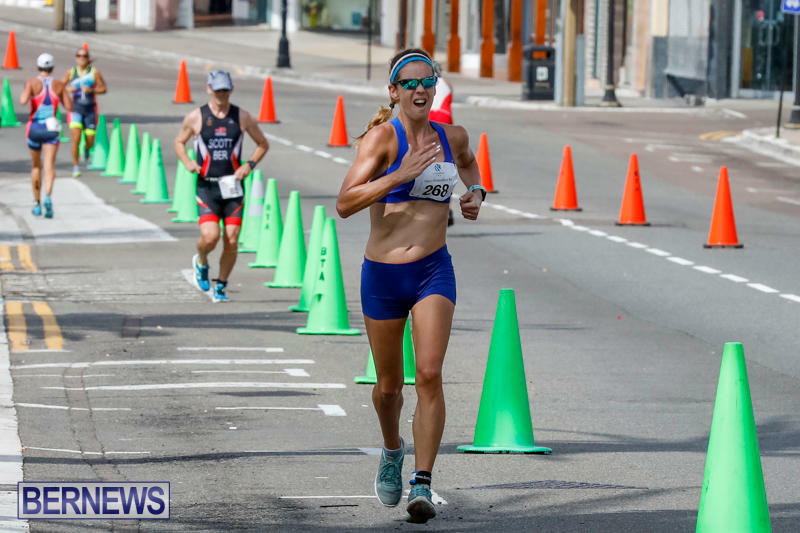 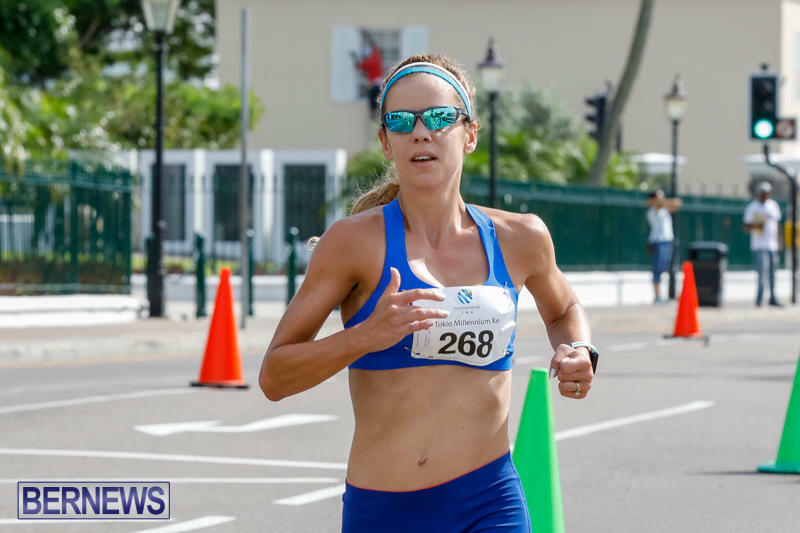 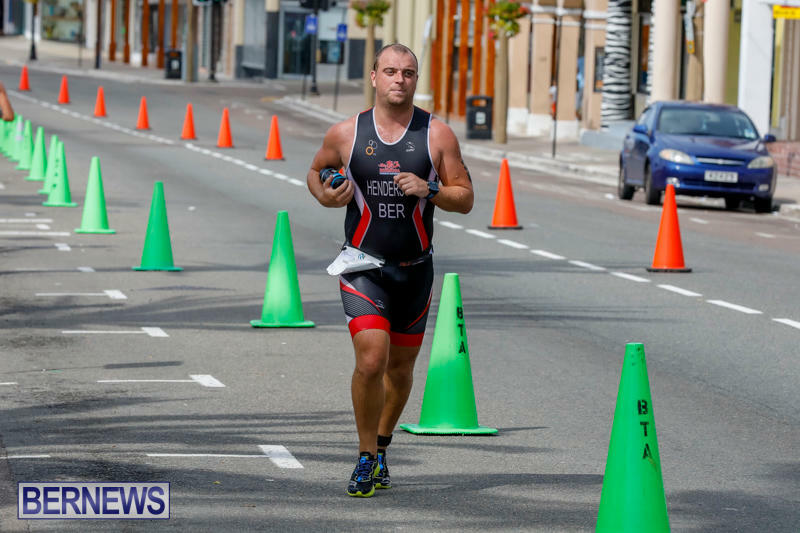 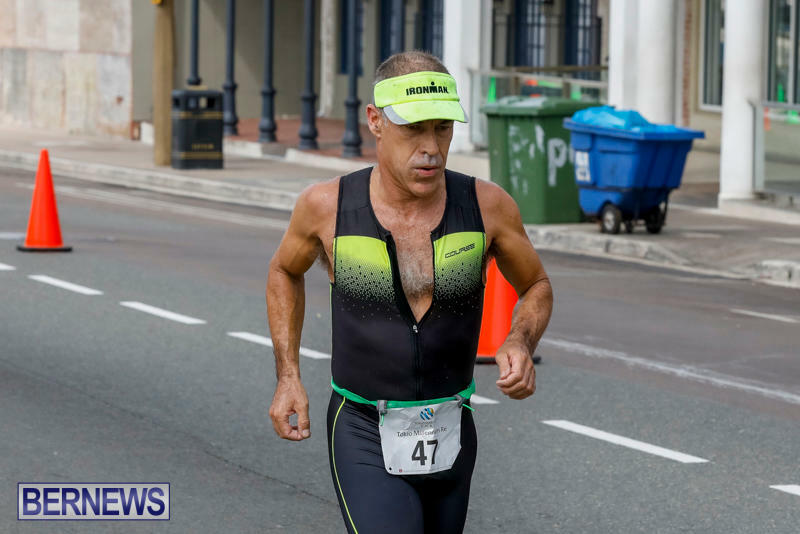 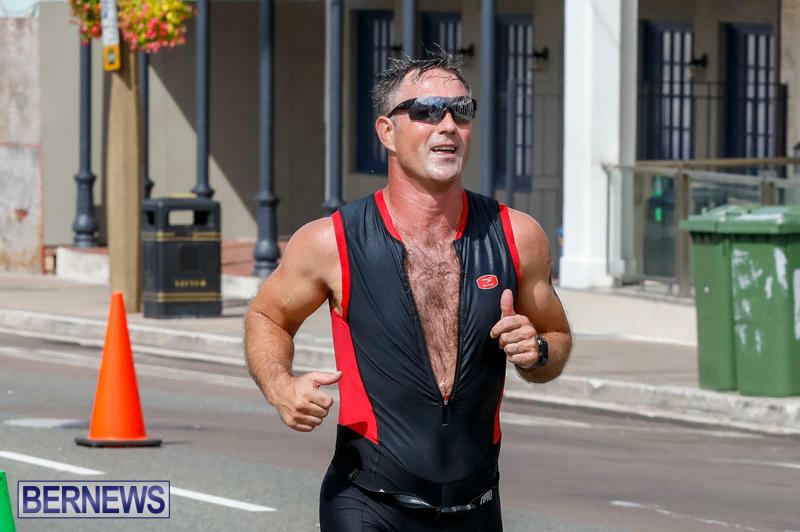 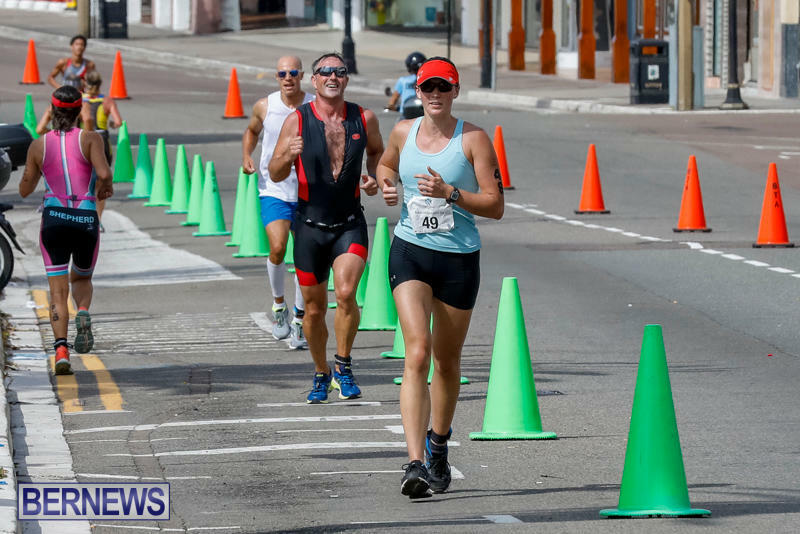 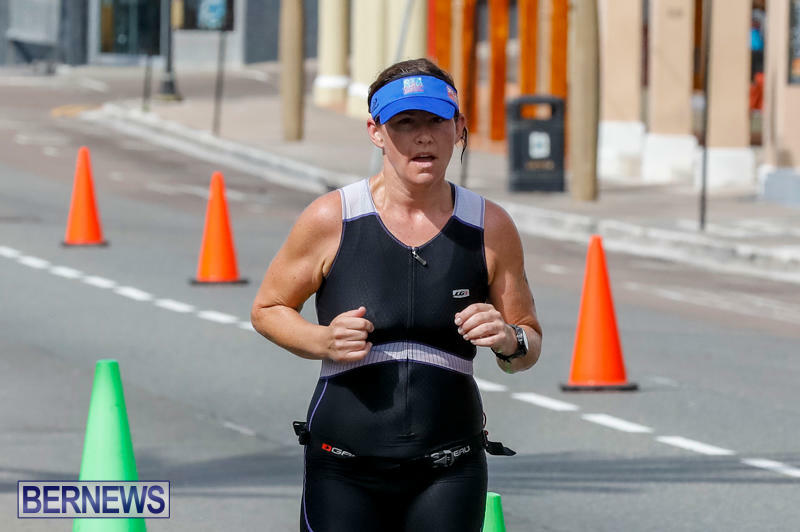 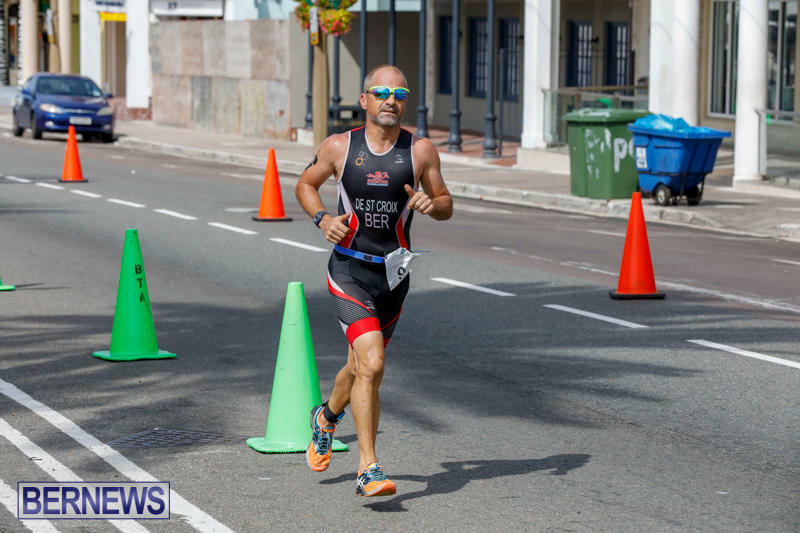 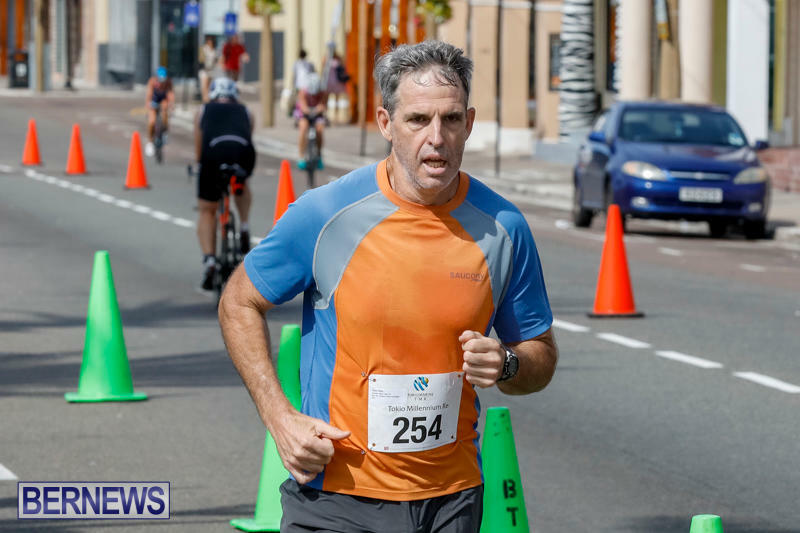 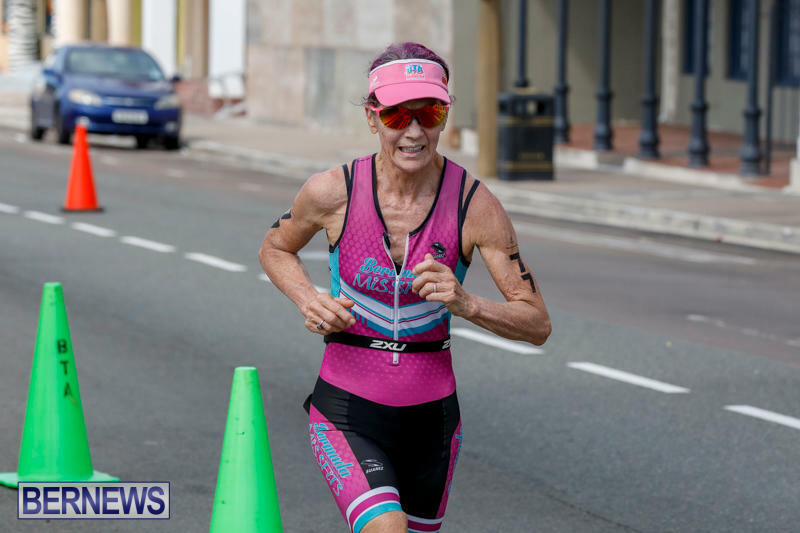 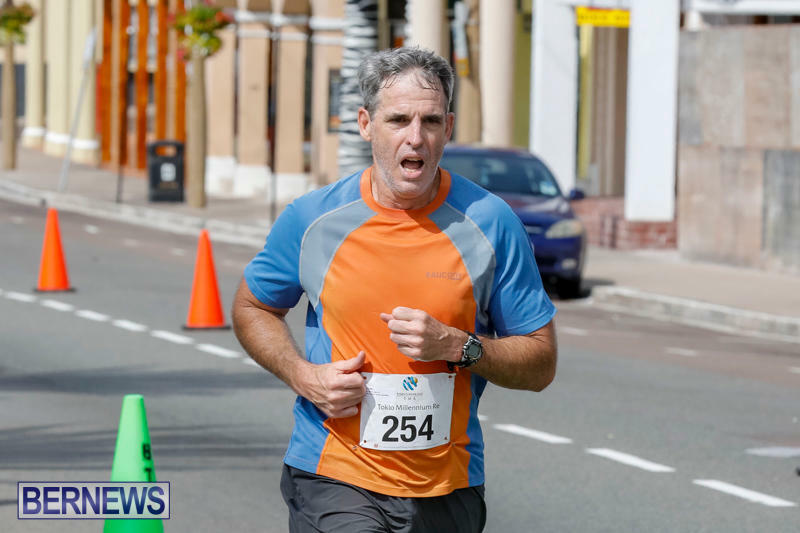 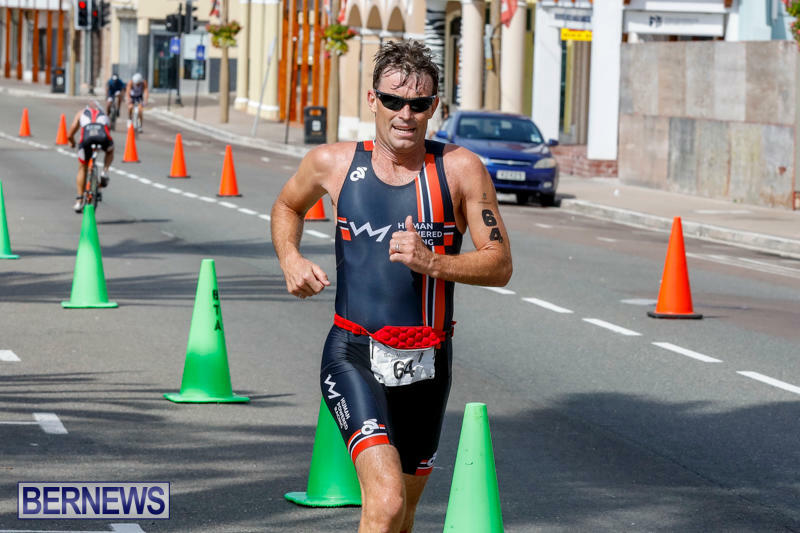 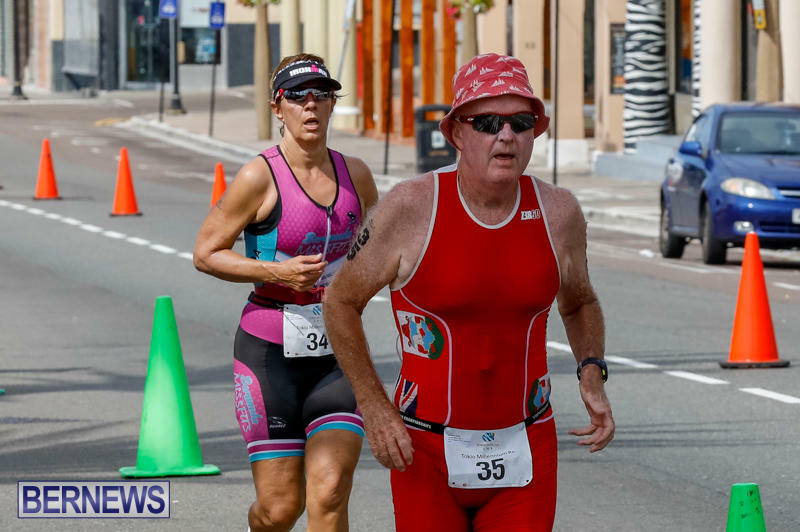 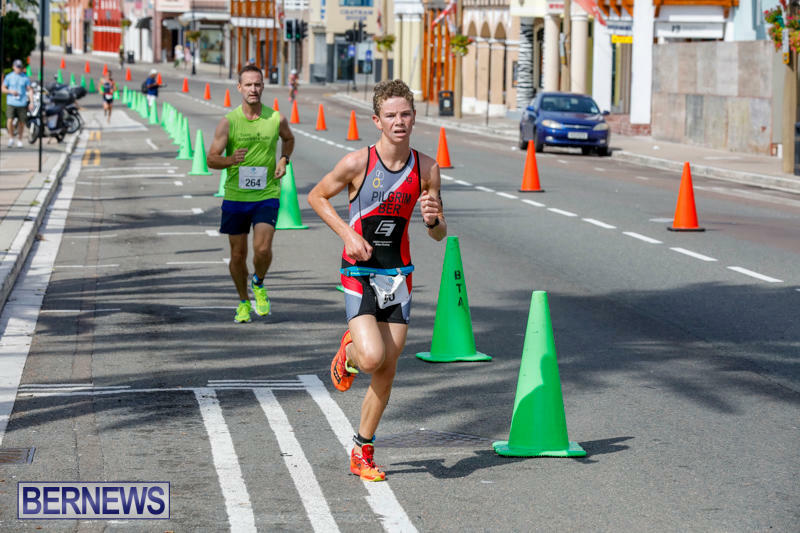 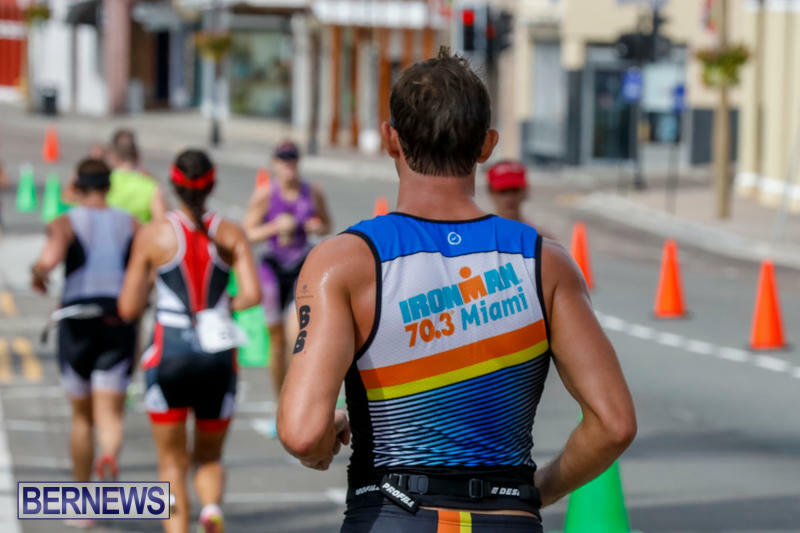 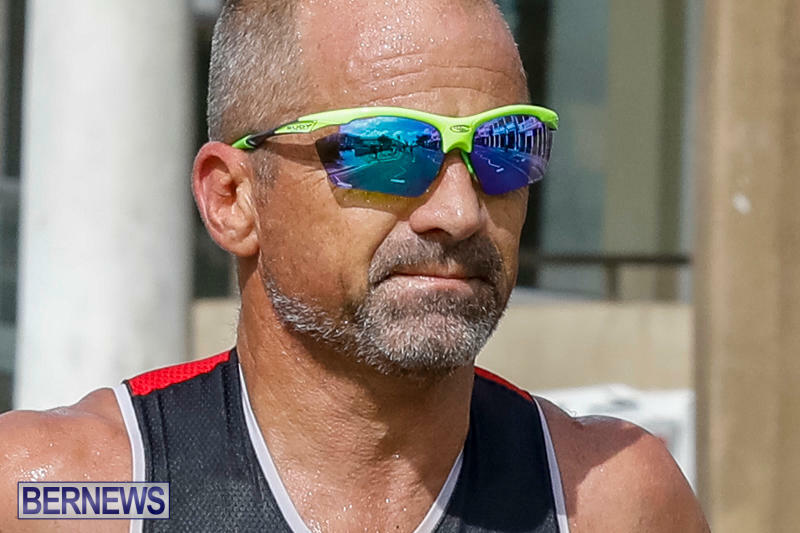 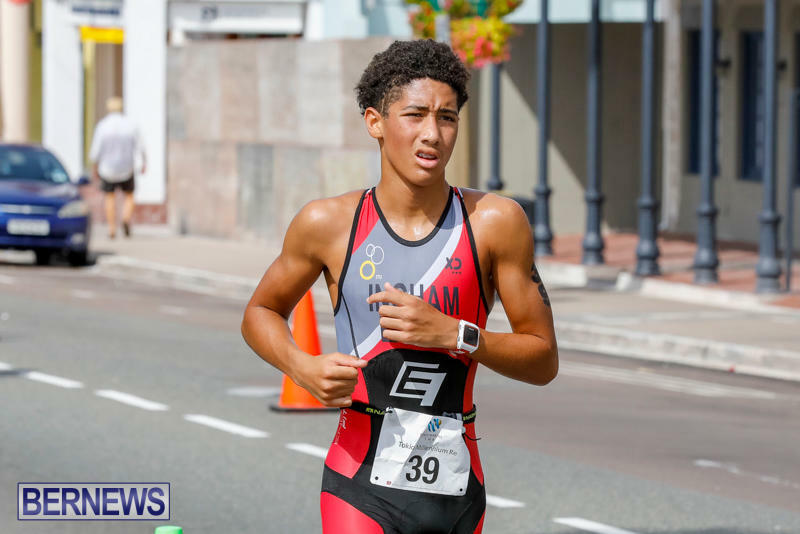 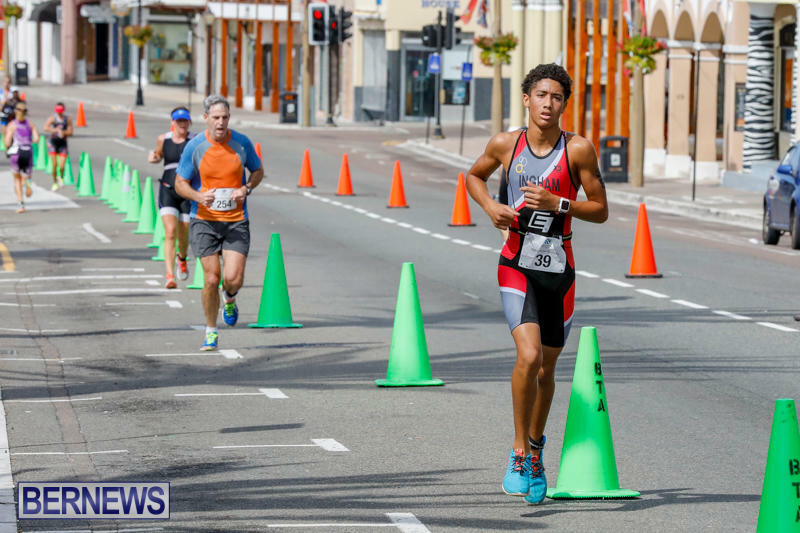 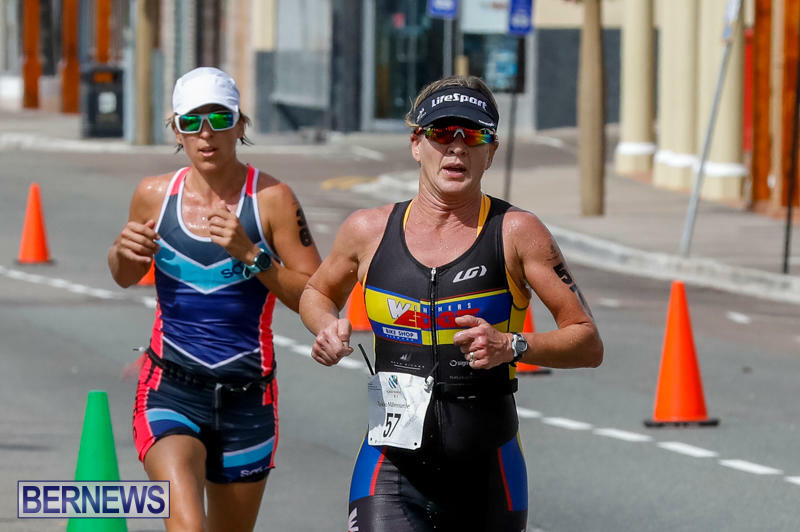 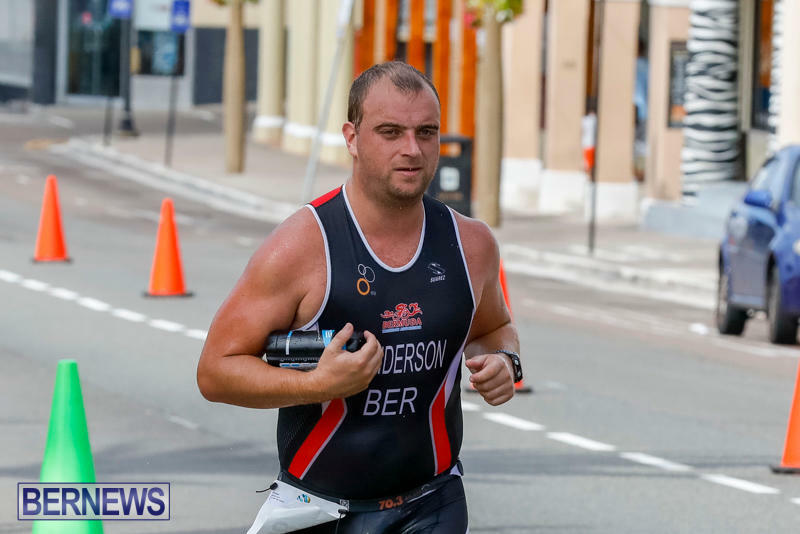 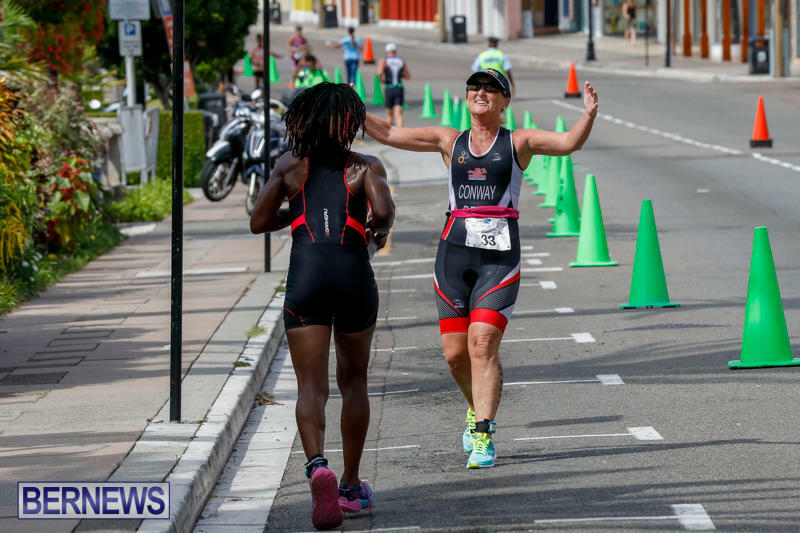 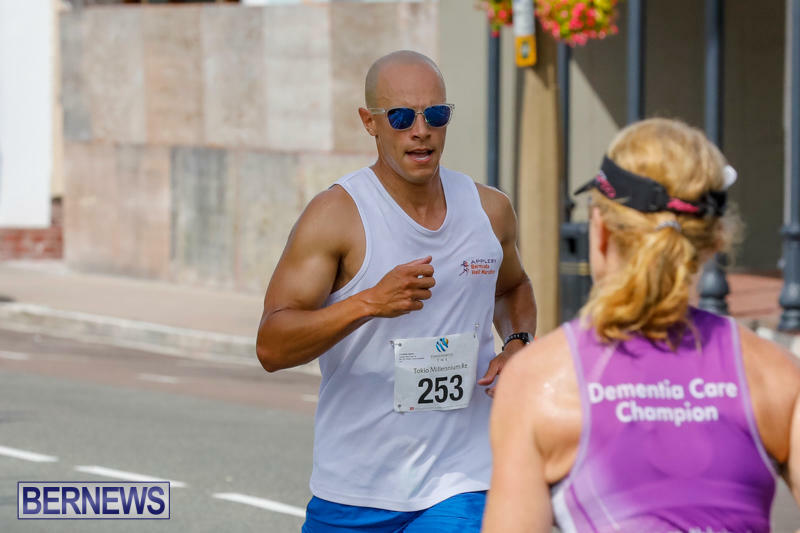 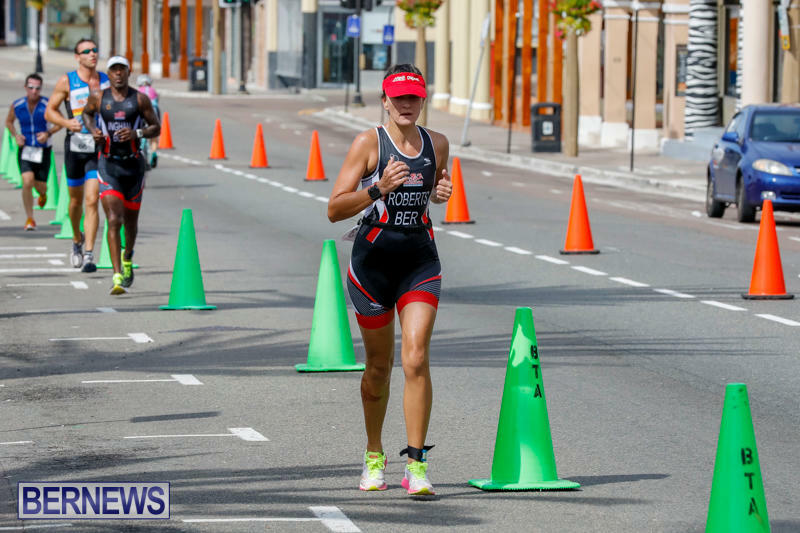 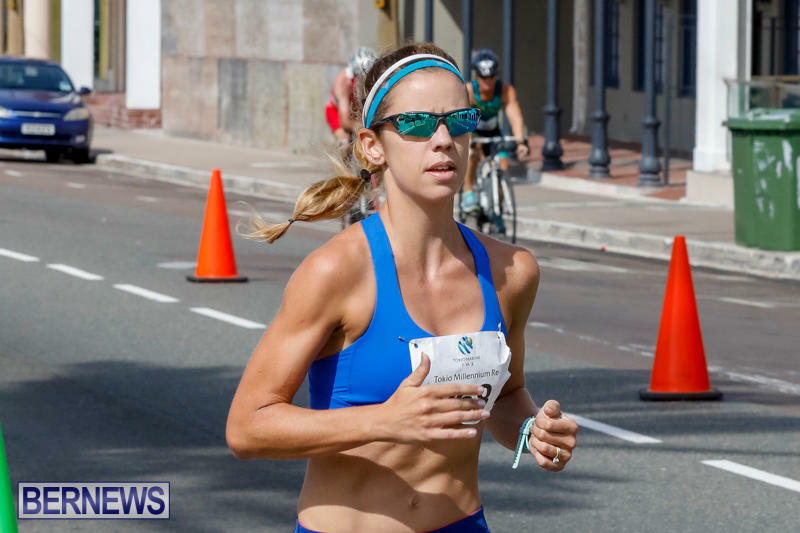 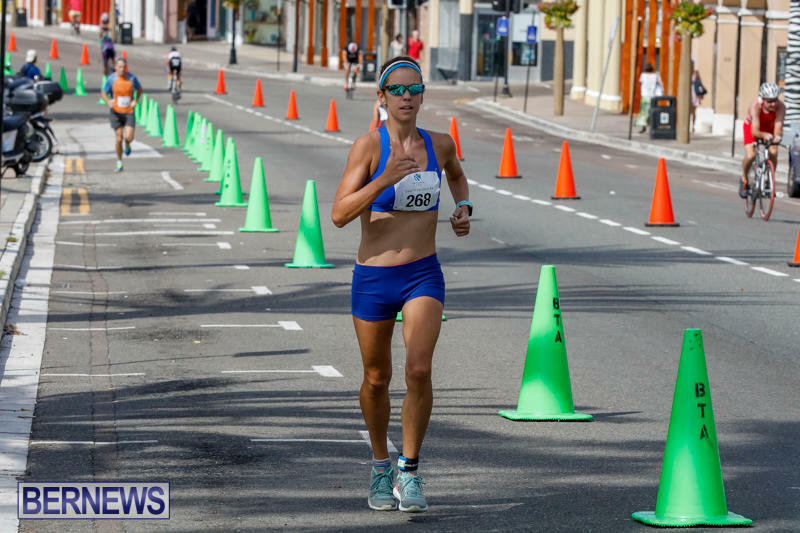 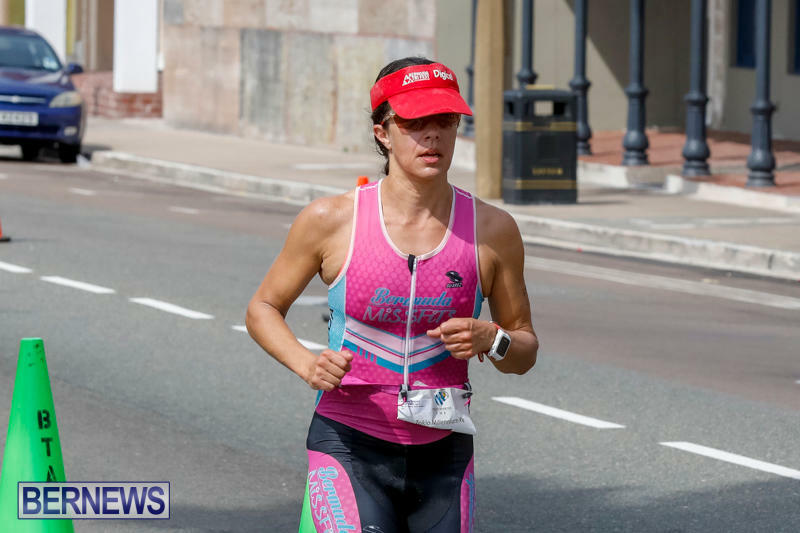 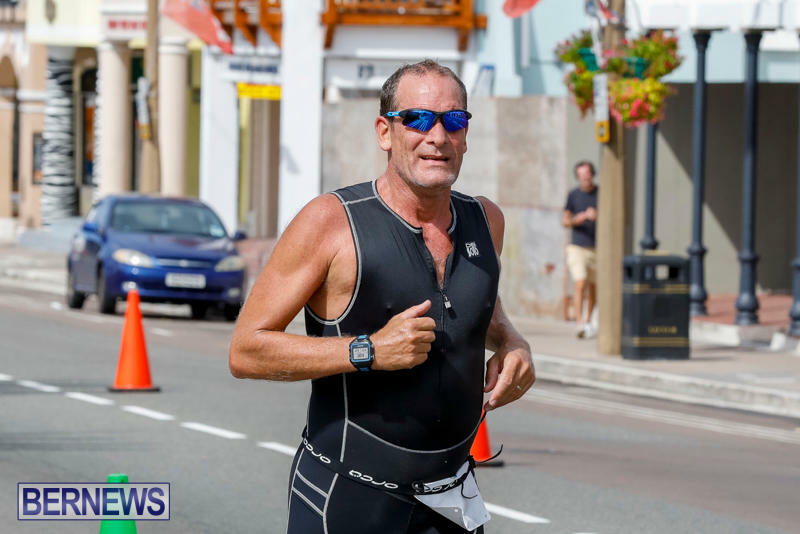 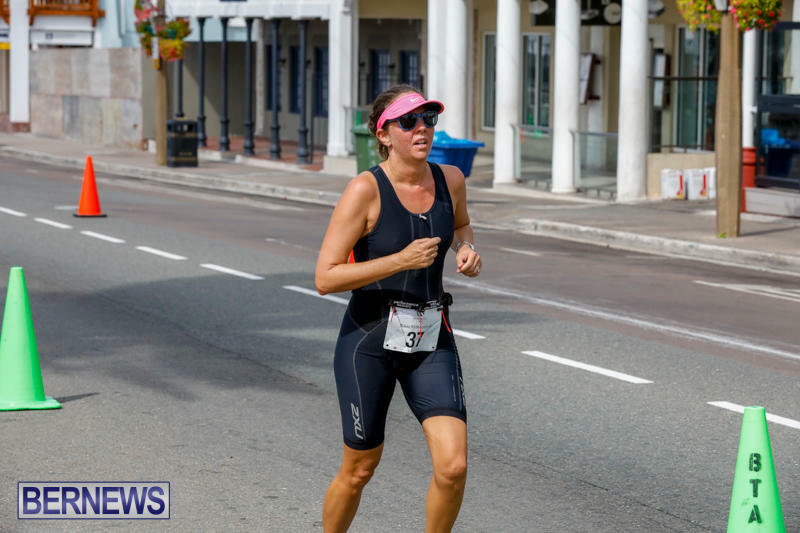 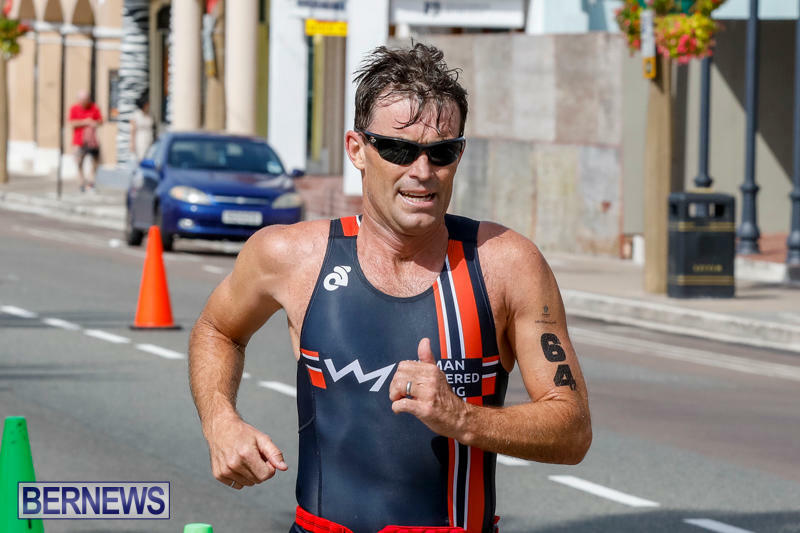 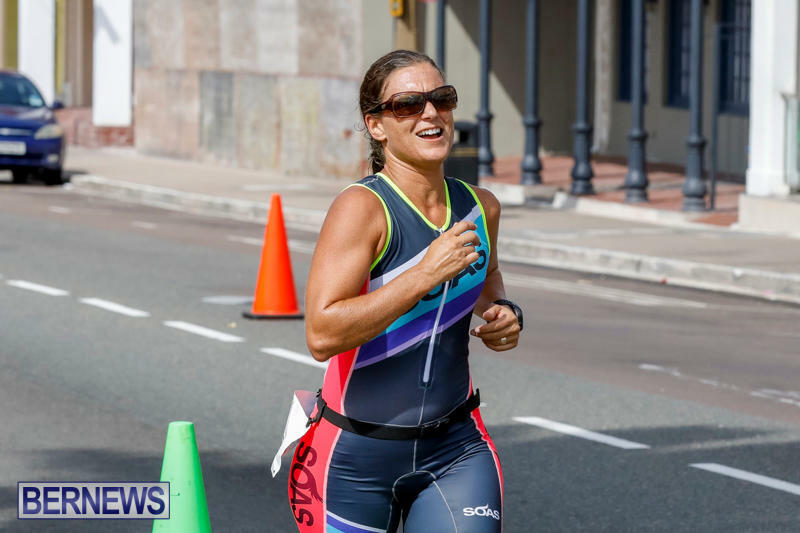 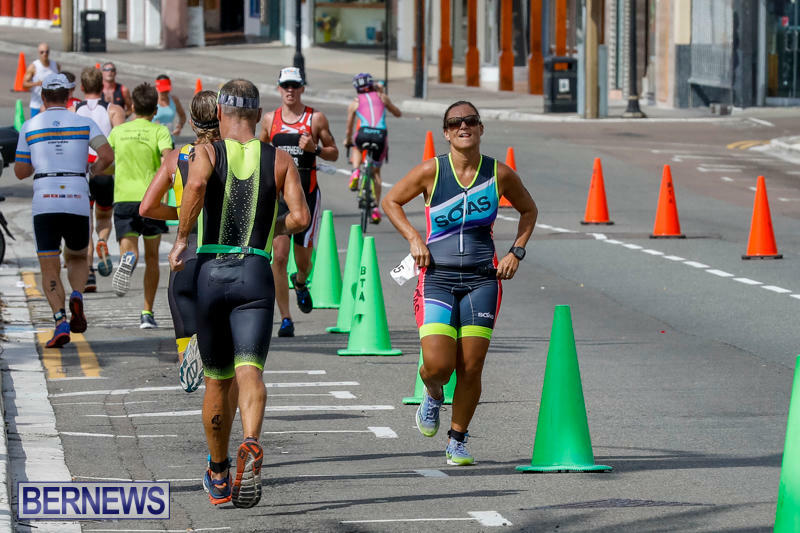 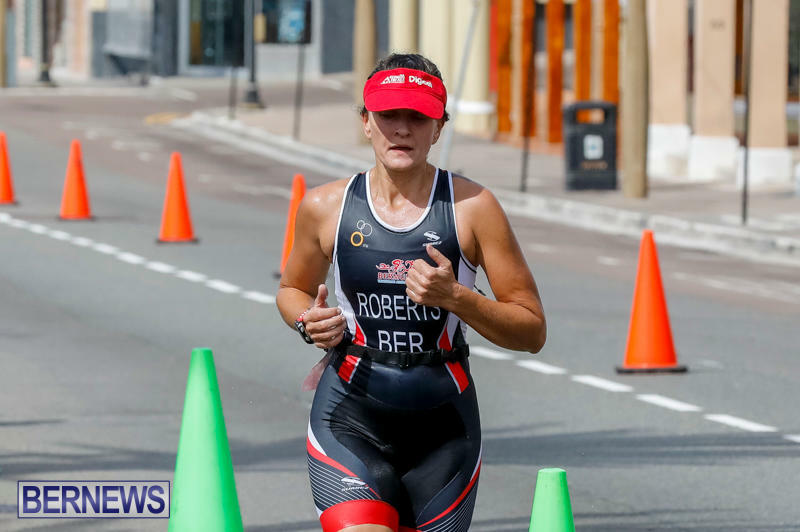 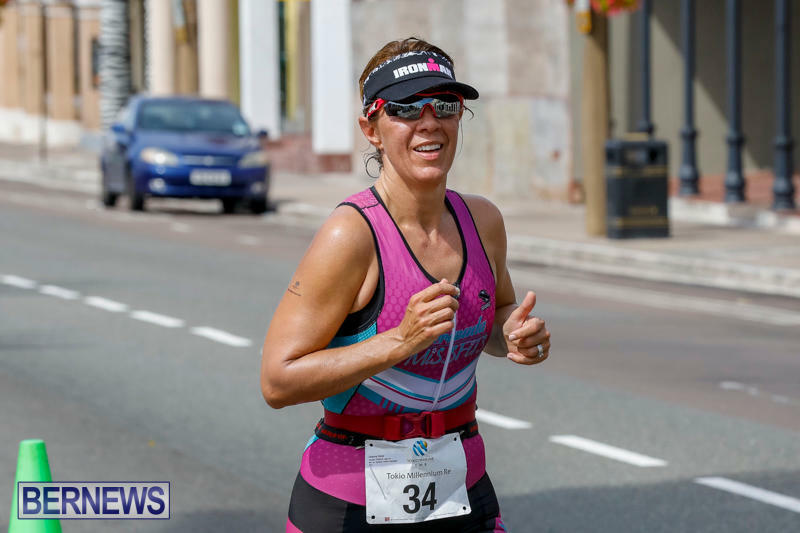 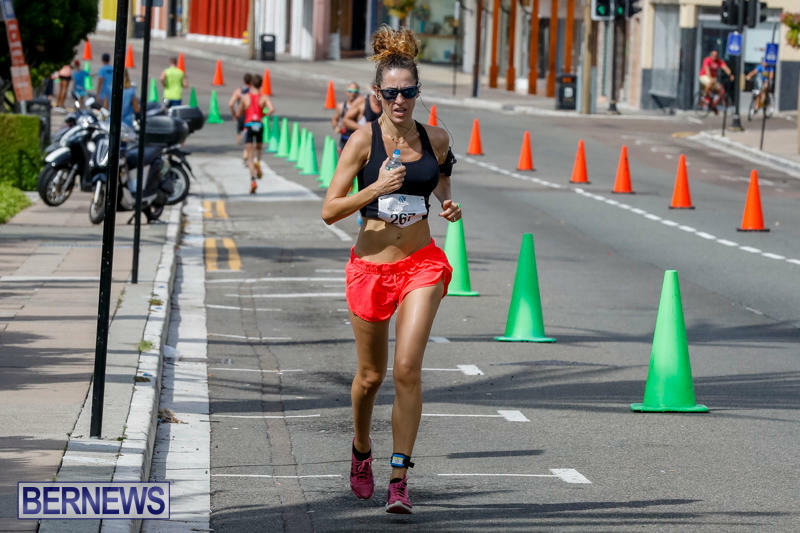 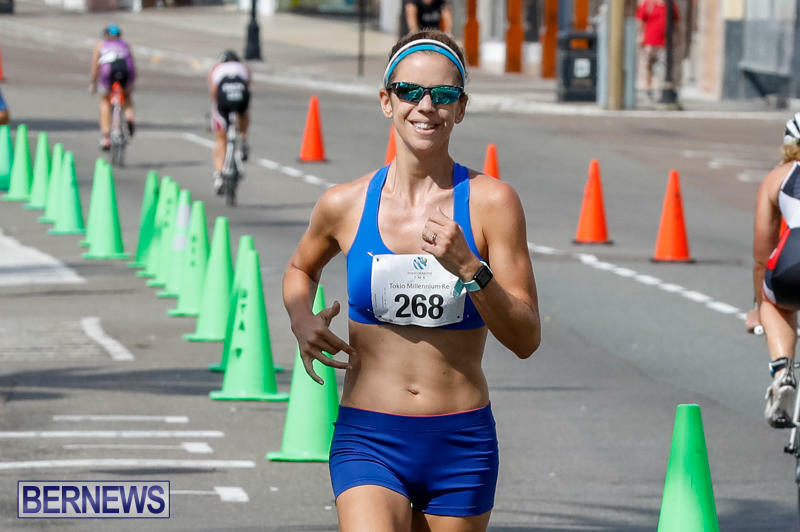 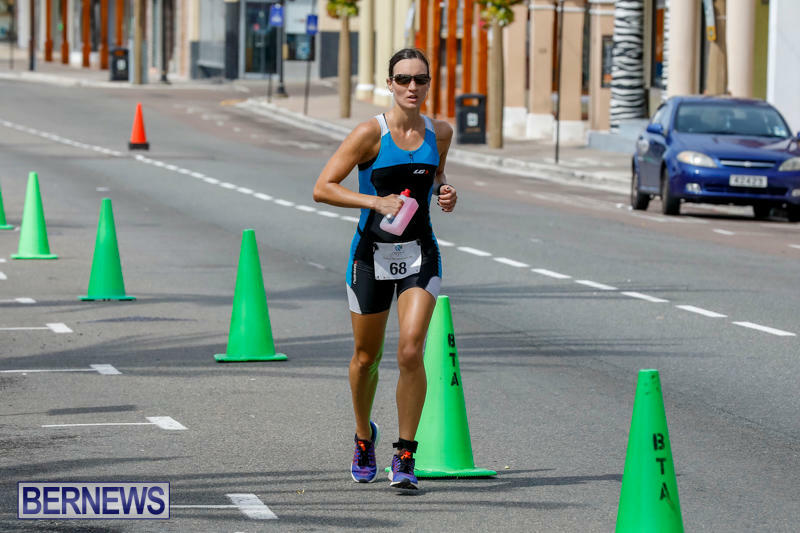 Flora Duffy returned to the Island to help inspire Bermuda’s triathletes when she took part in the annual Tokio Millennium Re Sprint Triathlon and Duathlon event on Sunday. 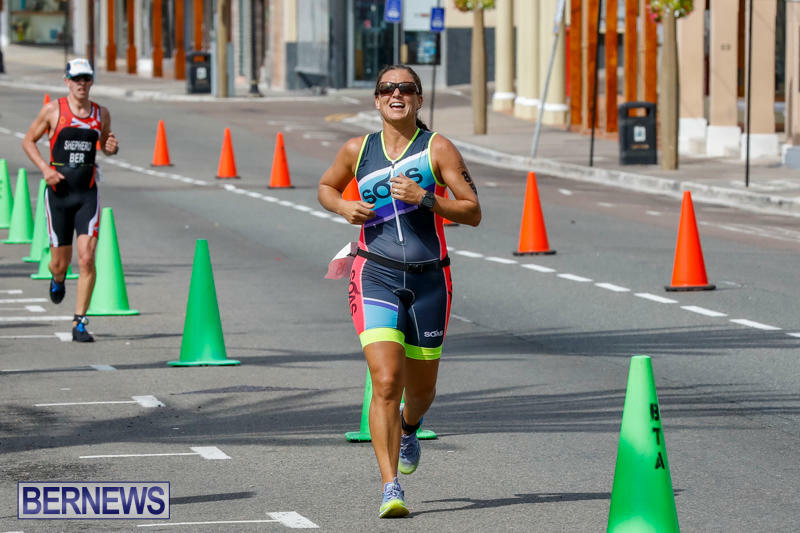 The world champion took part in the swimming leg of a winning team, and stayed throughout the event, where she was surrounded by young fans. 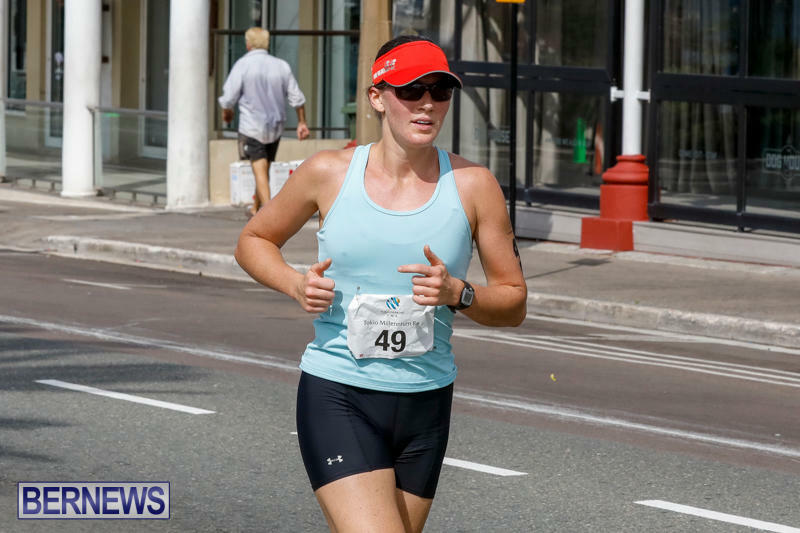 She was taken aback by the amount of support she received especially from the young people who “kind of surrounded me. 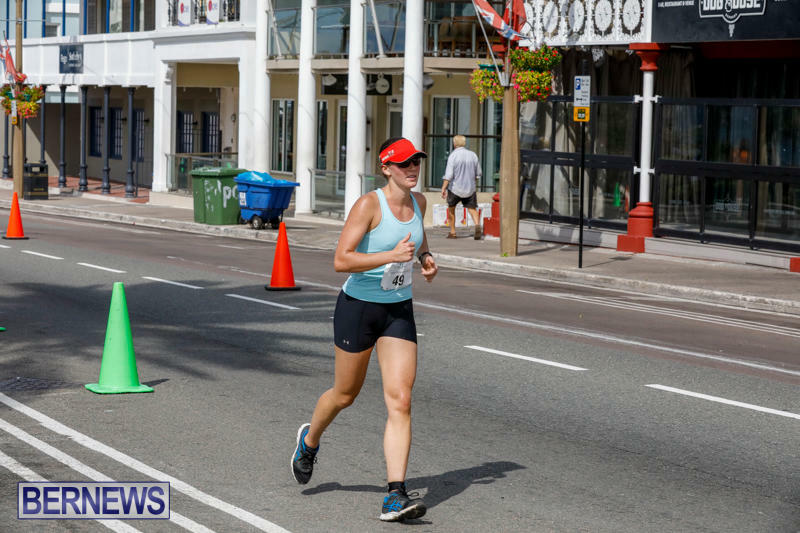 It was a little overwhelming, but it was cute. 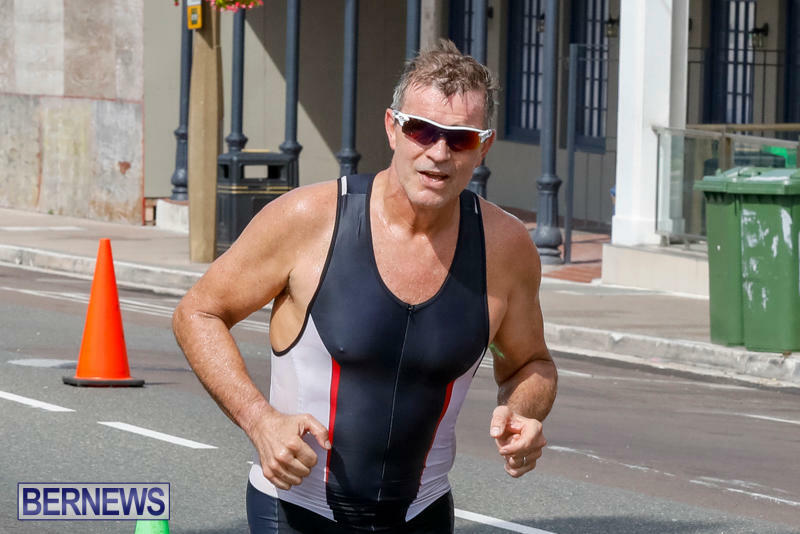 They all watch my races and it is inspiring them, that is really wonderful to see”. 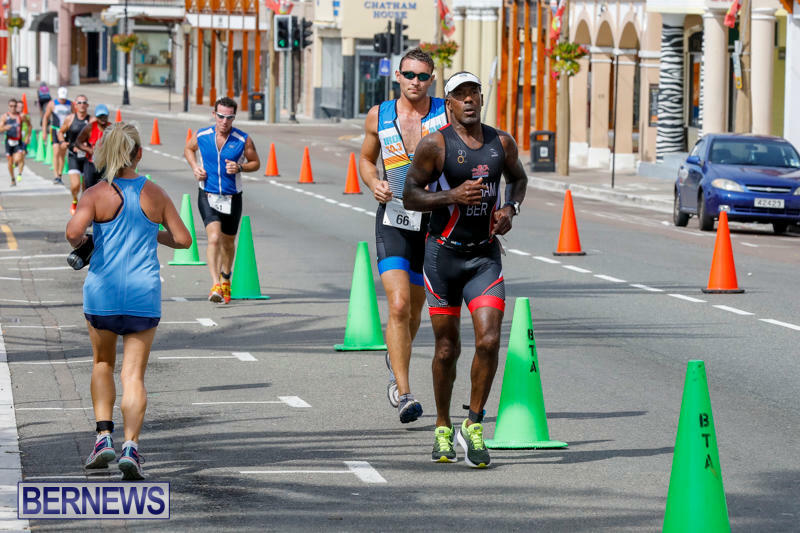 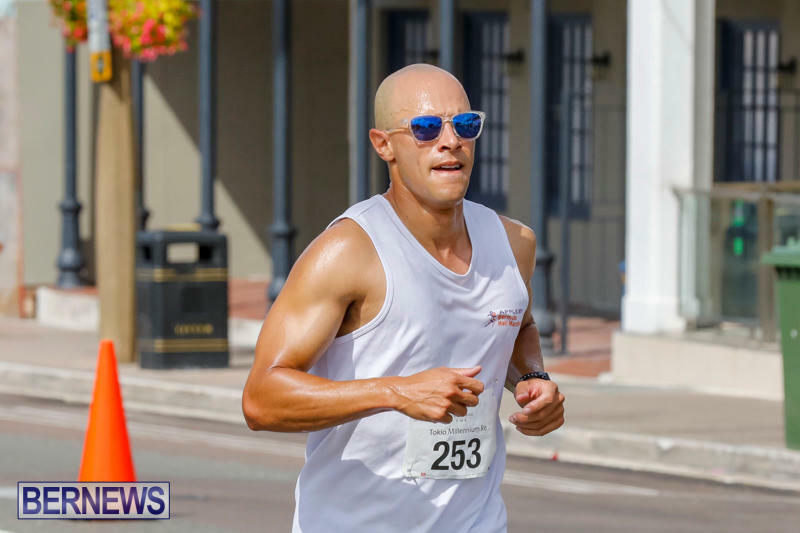 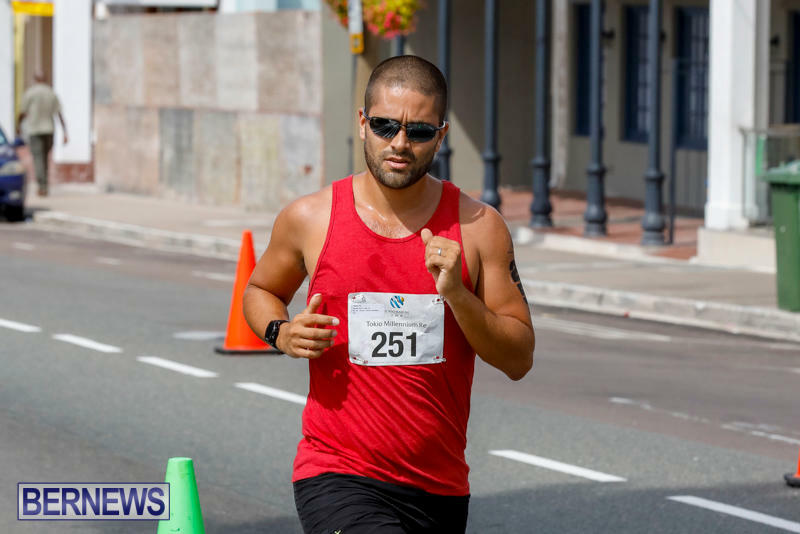 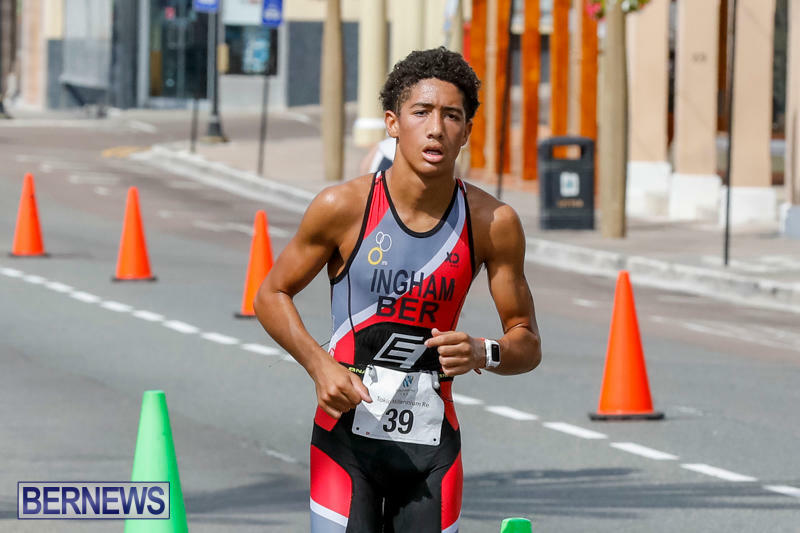 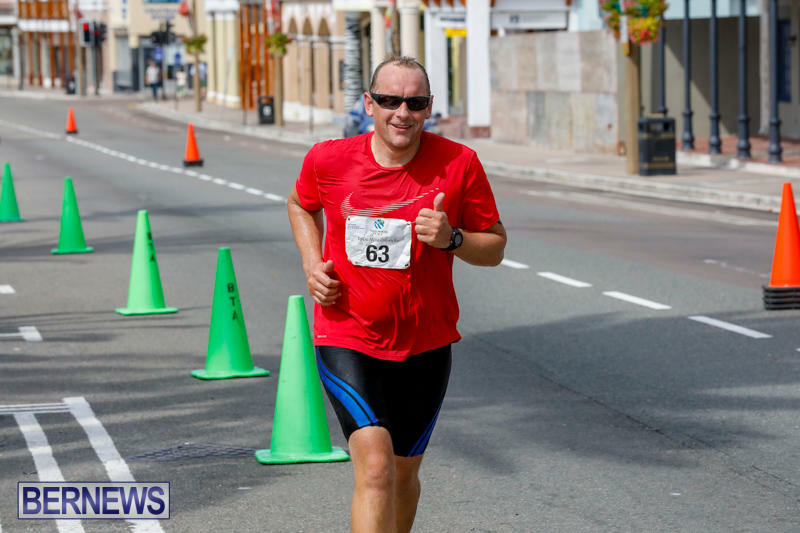 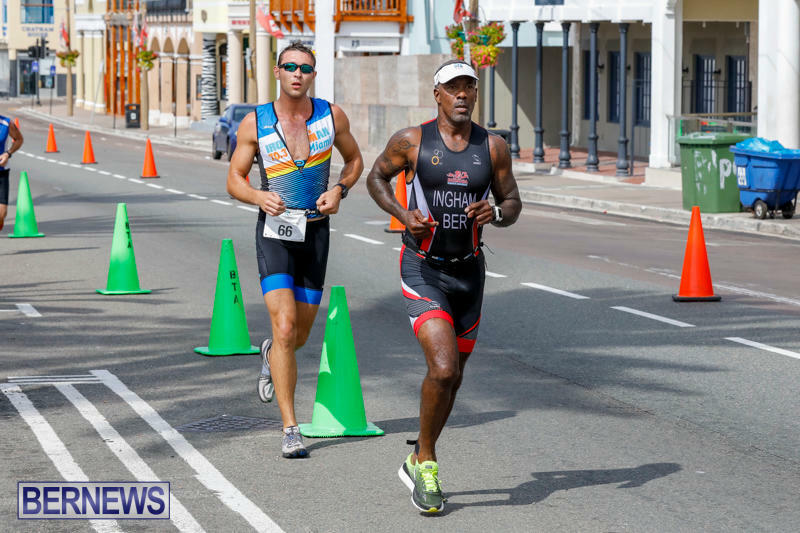 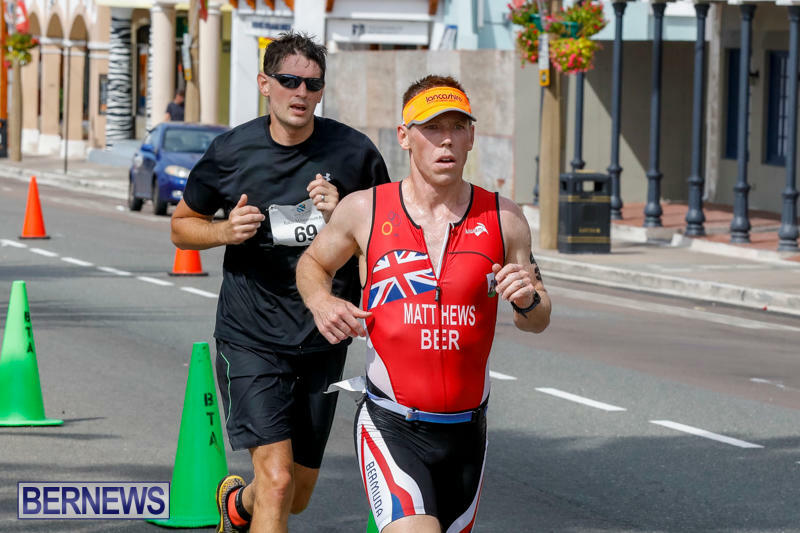 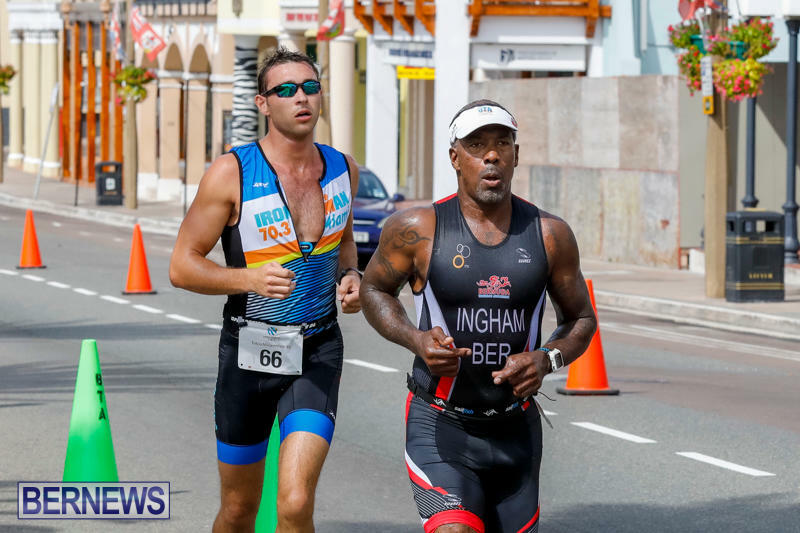 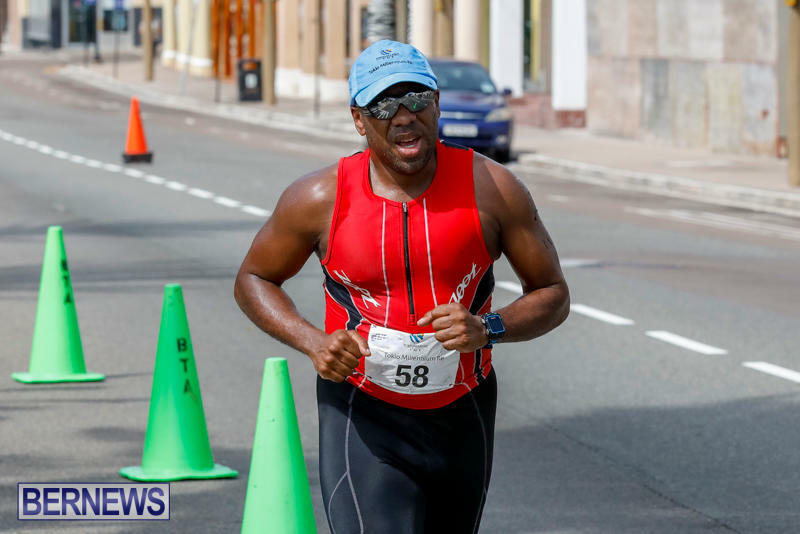 This year TMR decided that instead of trophies and prize money, it would make a donation to the Bermuda Paralympic Association. 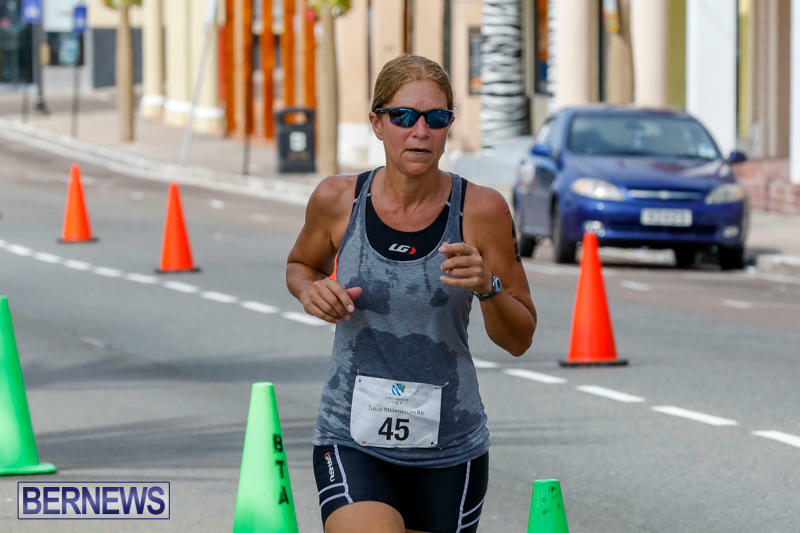 Ann Lindroth the President of Bermuda Paralympic Association, and Lorrie Lewis, mother of Jessica Lewis, Bermuda’s Paralympian who is also sponsored by TMR, were presented a cheque for $3,500. 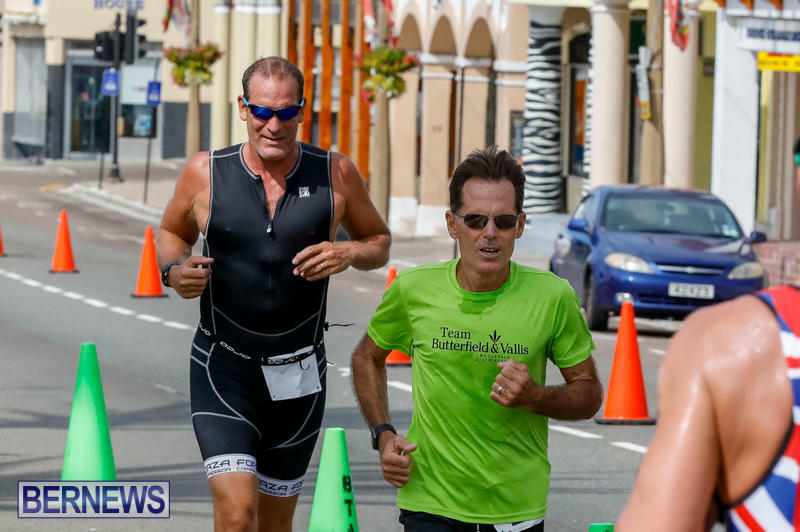 TMR also awarded the winning team in the School Challenge $500 for their school. 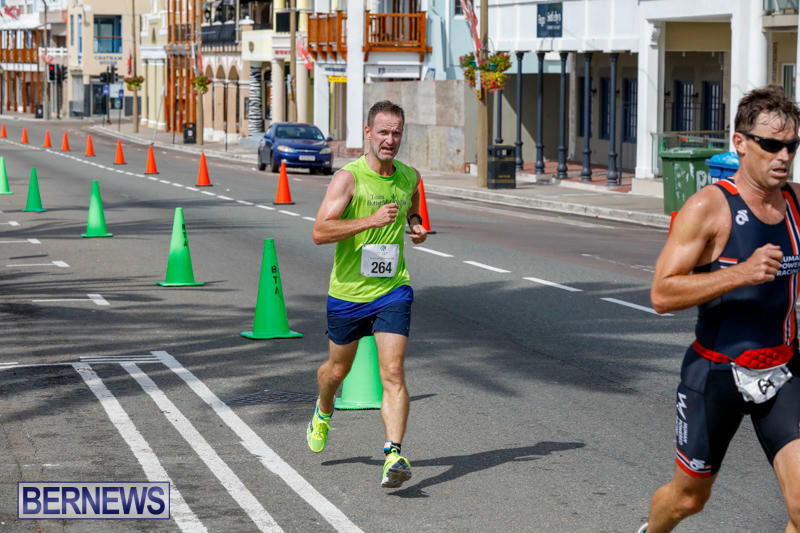 Saltus was the winning school for both the Middle and Senior age groups. 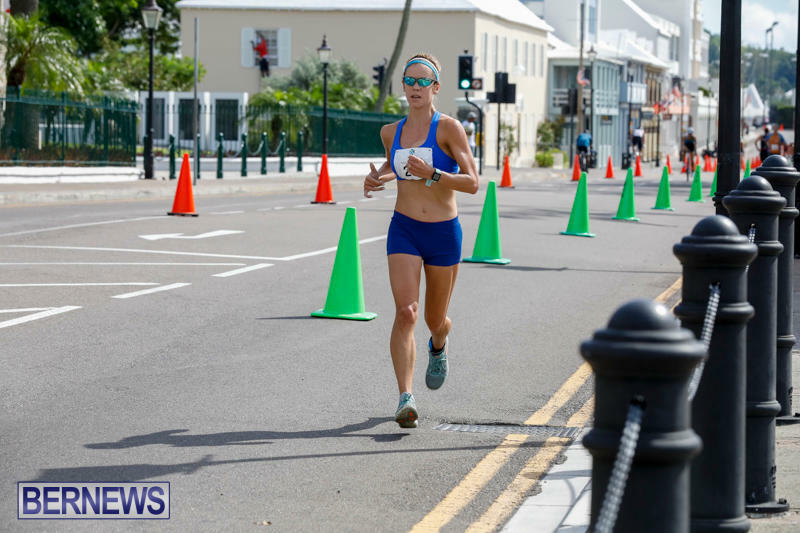 Kathleen Faries, Head of Bermuda at TMR, said she had been delighted to see so many athletes of all ages and abilities take part.